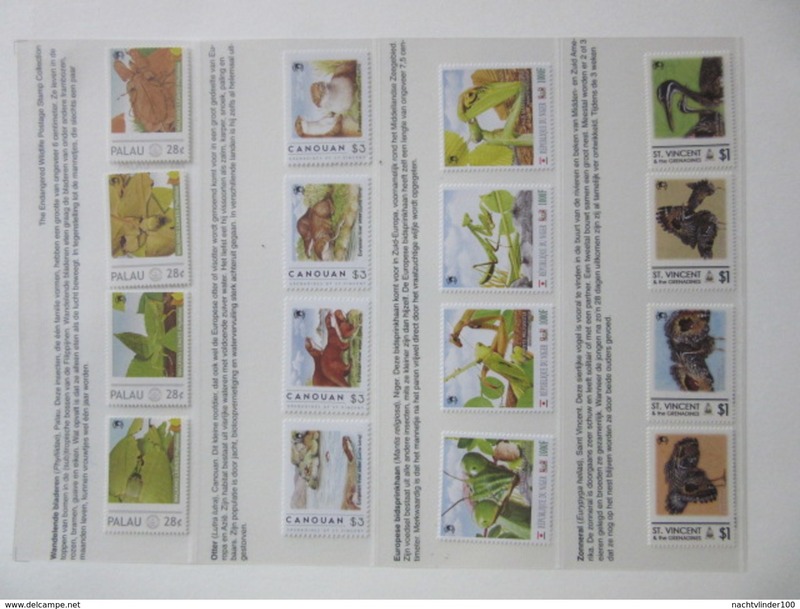 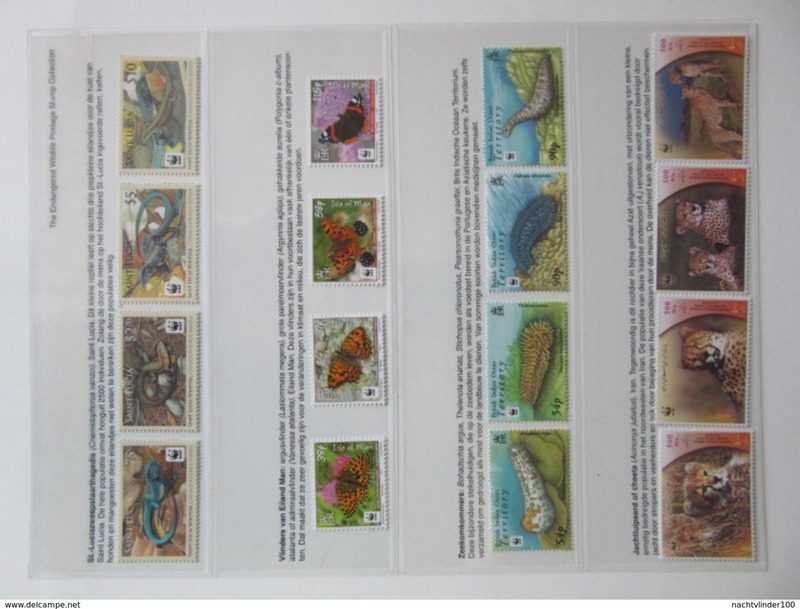 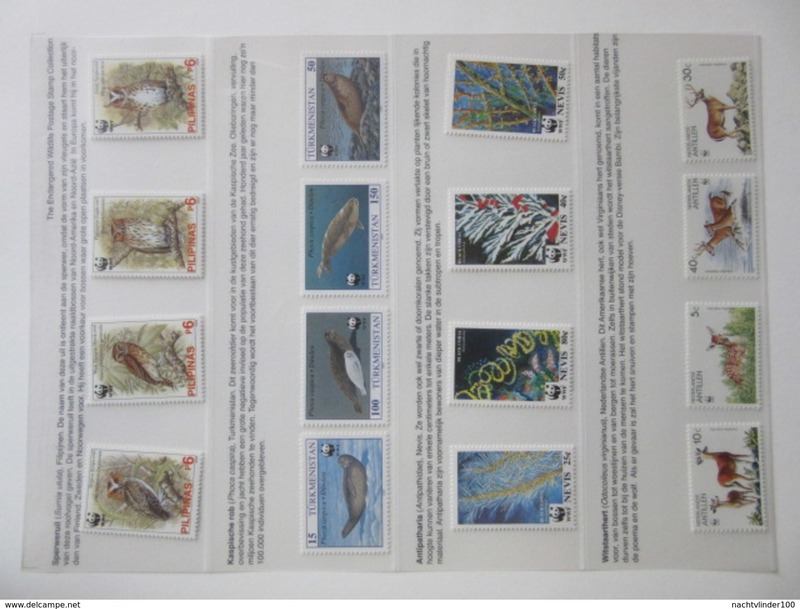 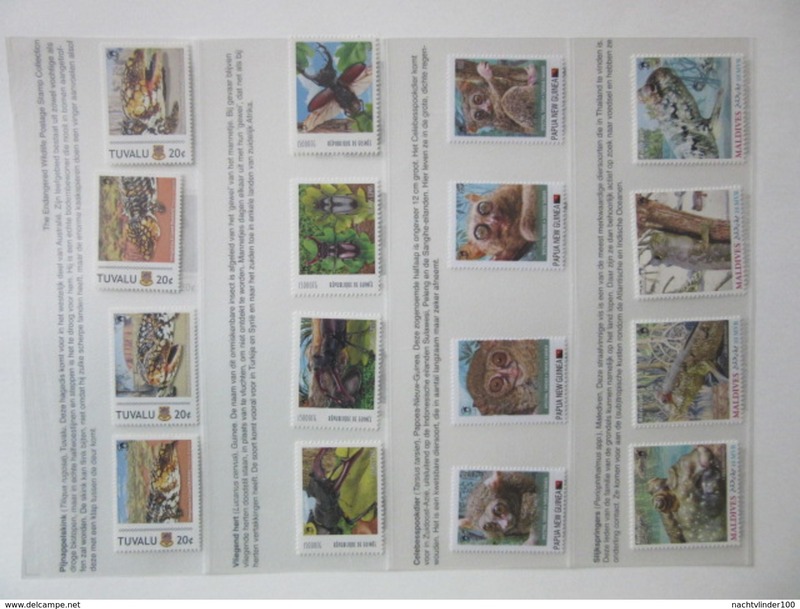 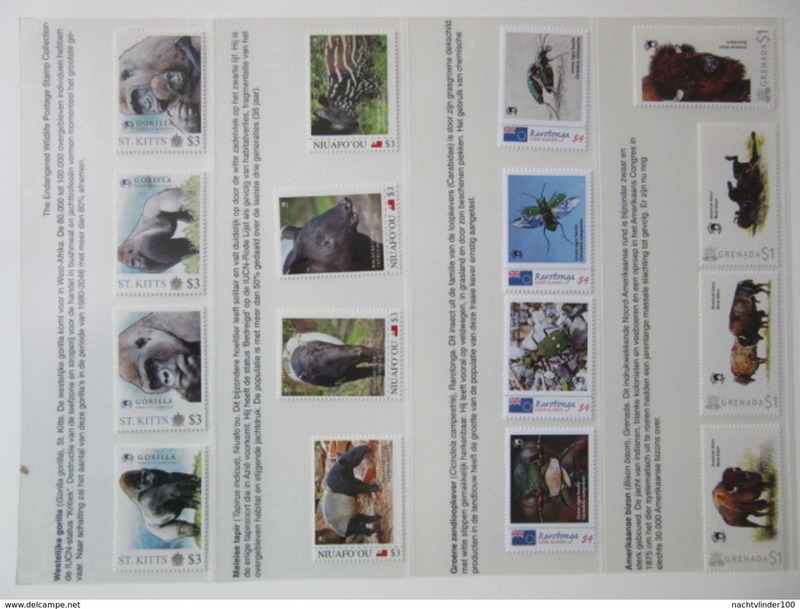 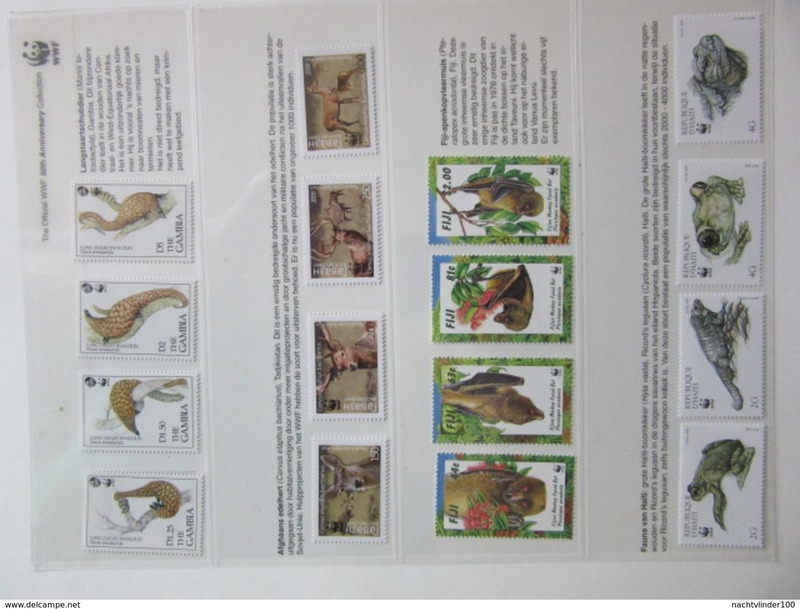 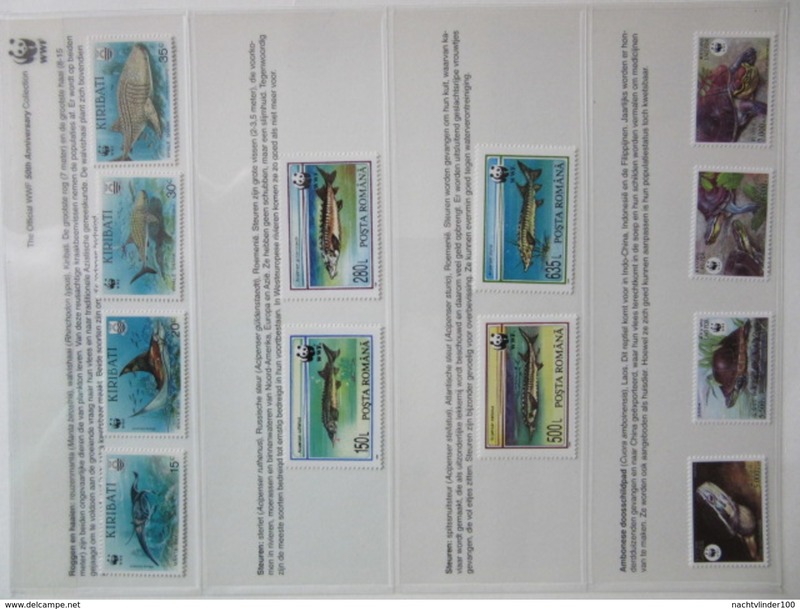 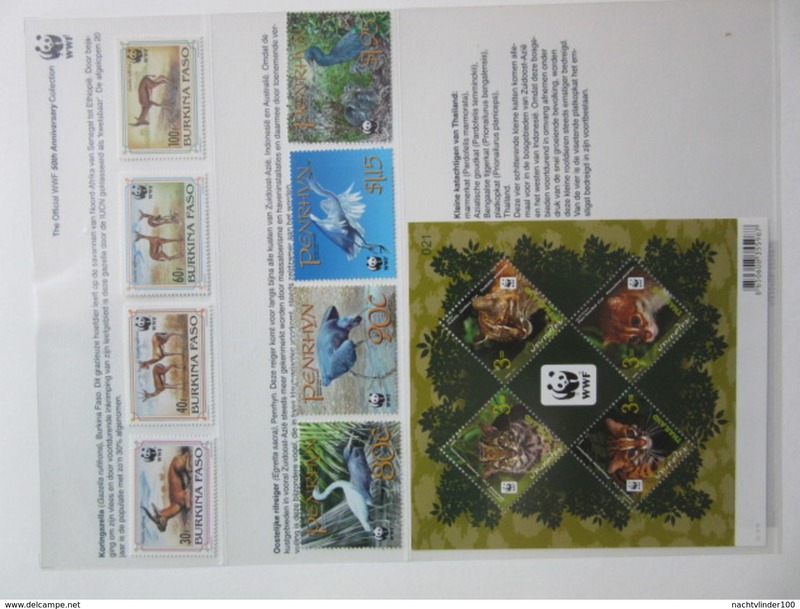 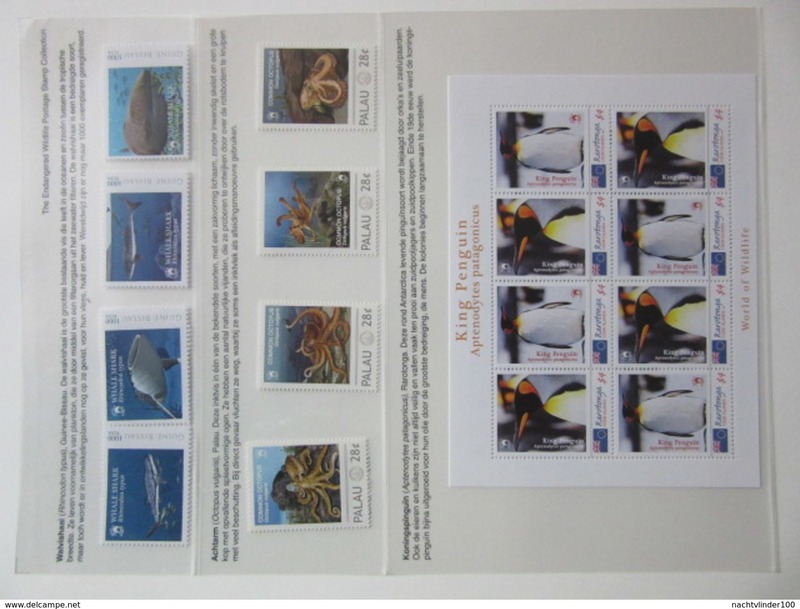 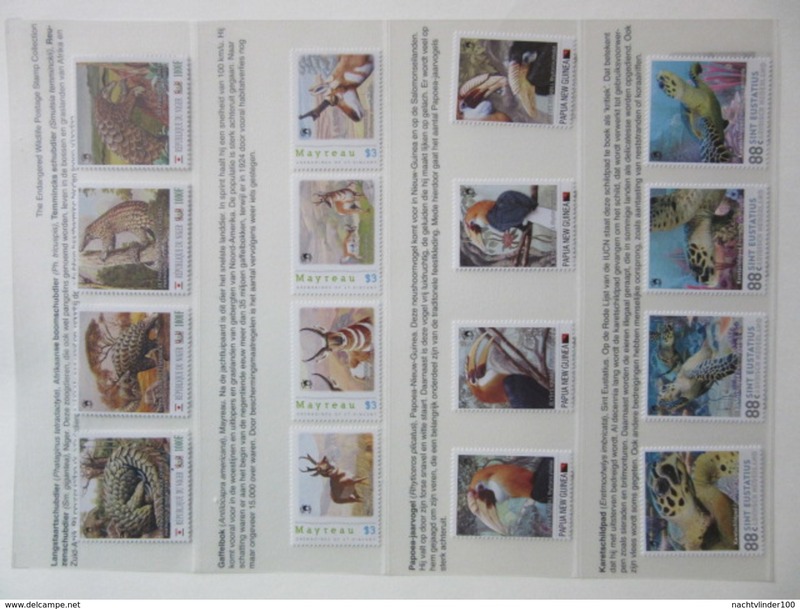 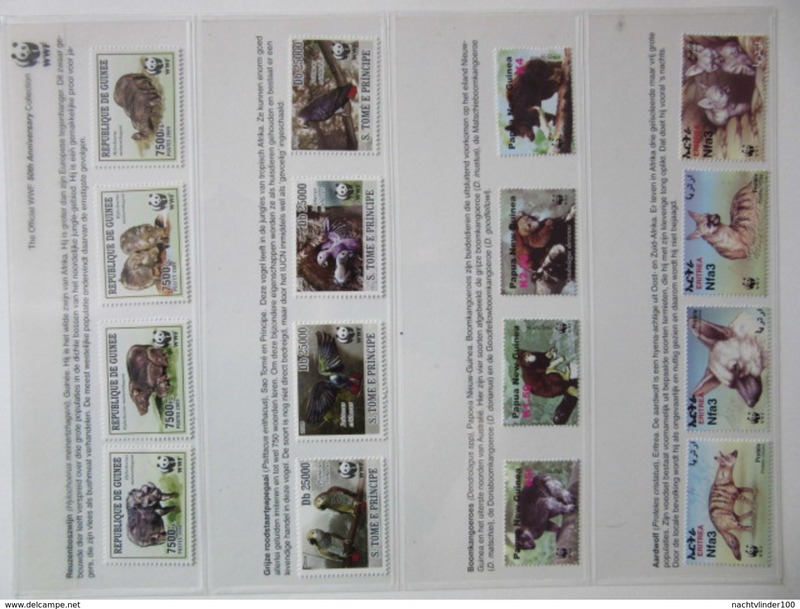 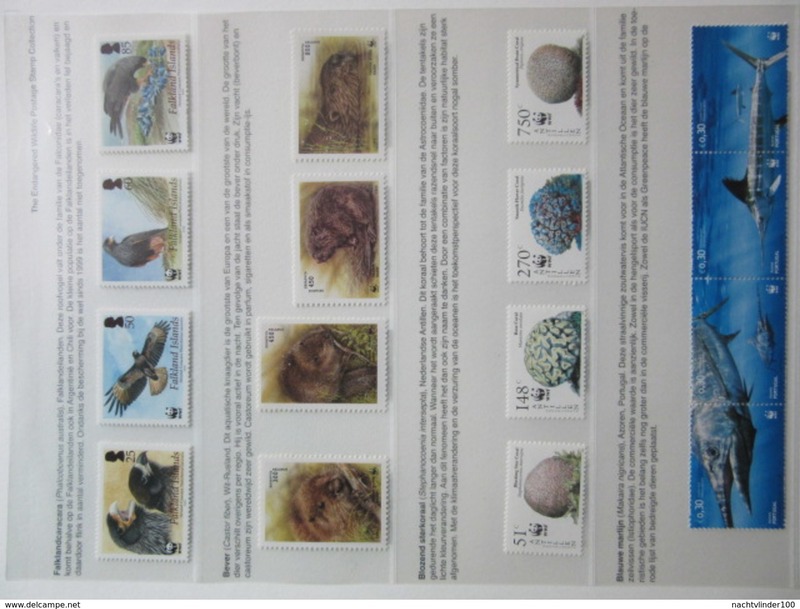 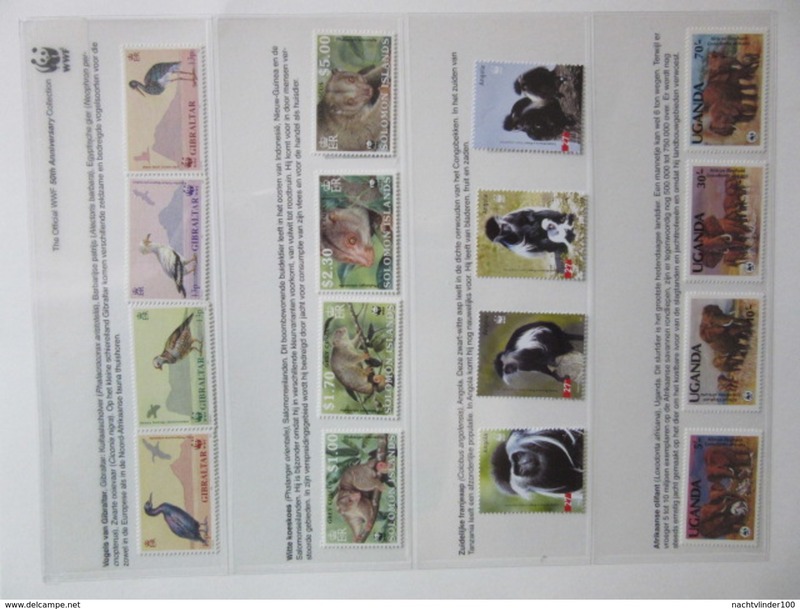 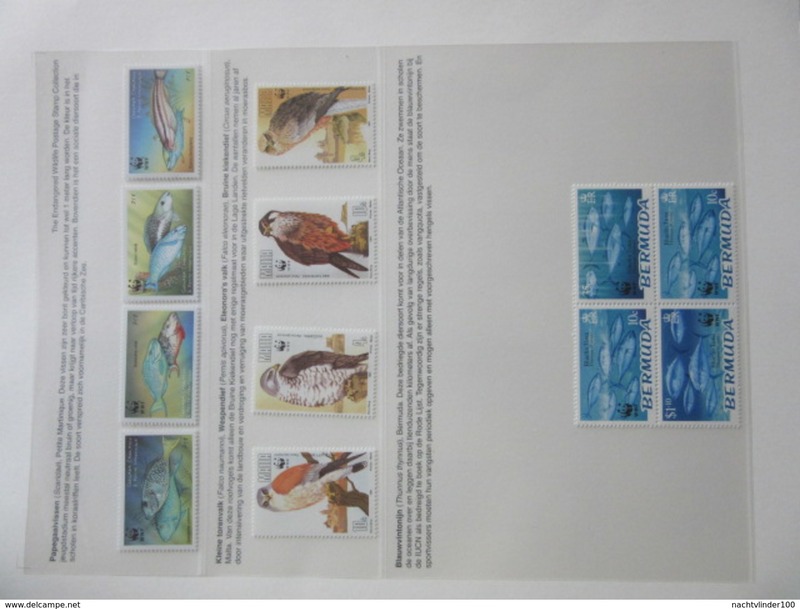 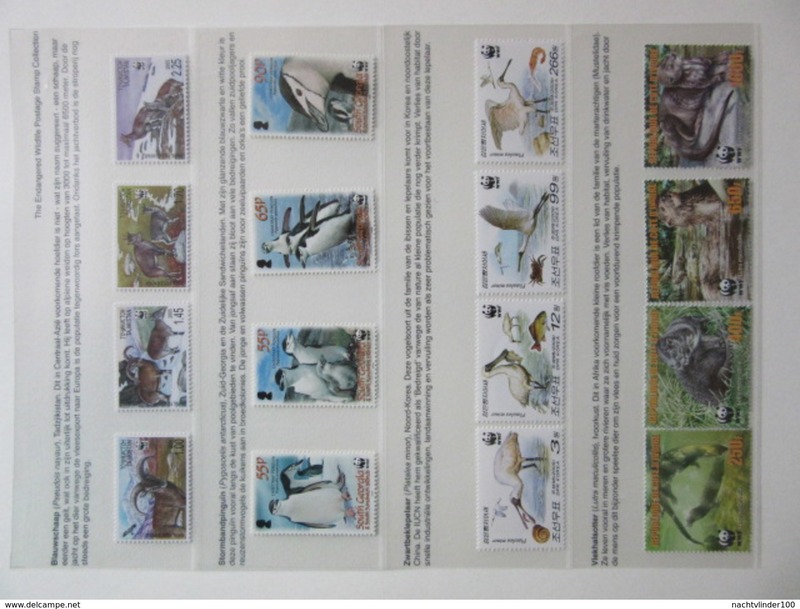 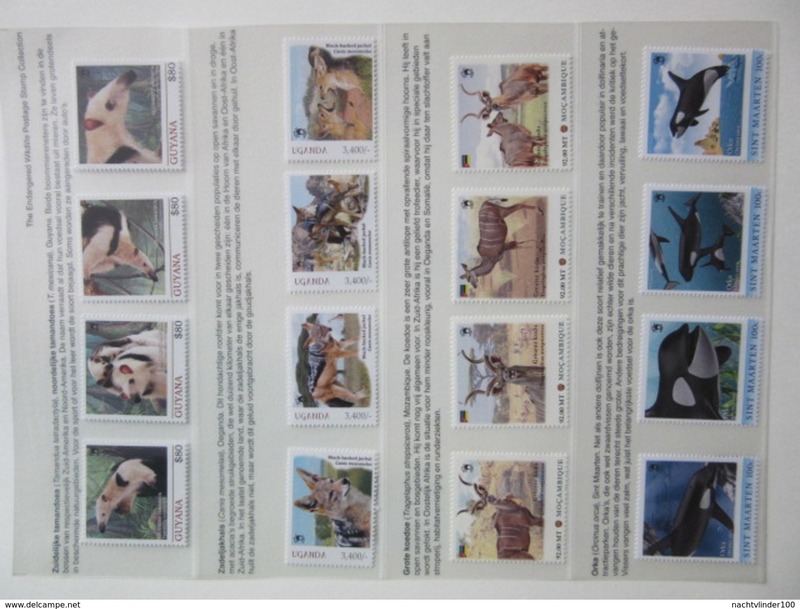 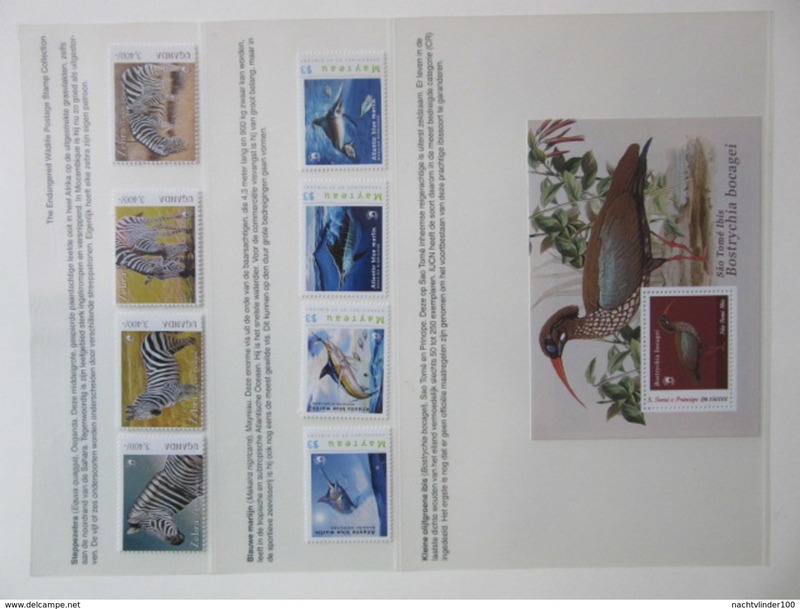 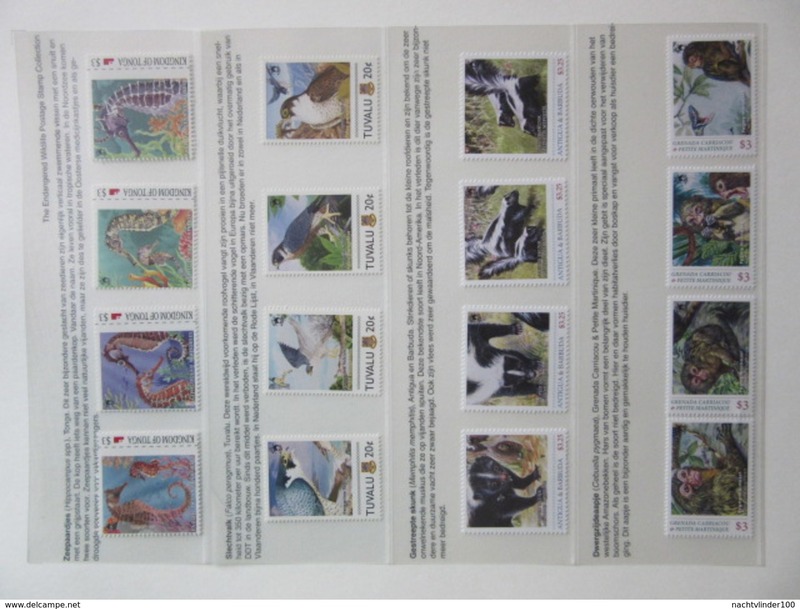 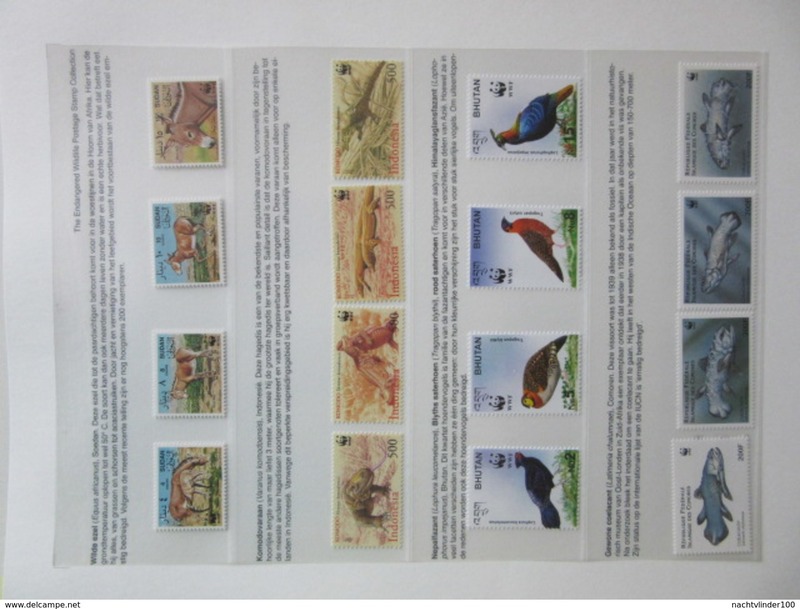 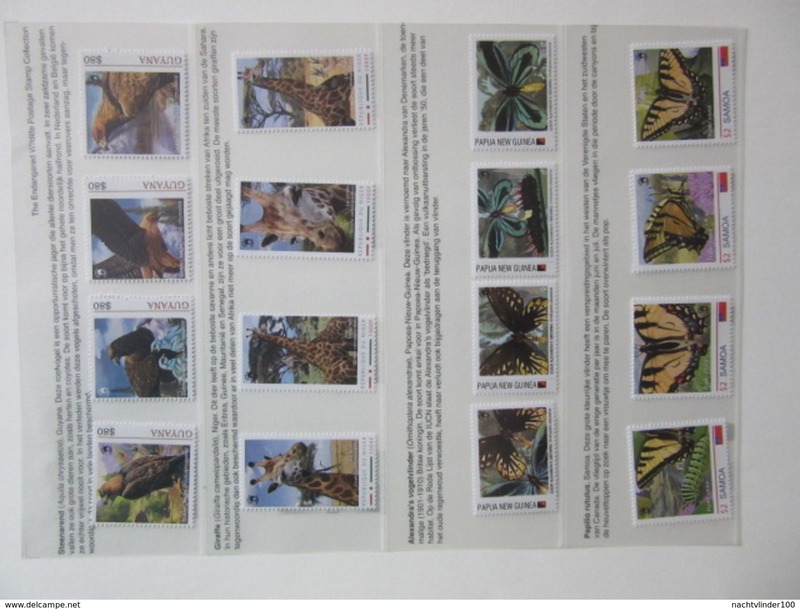 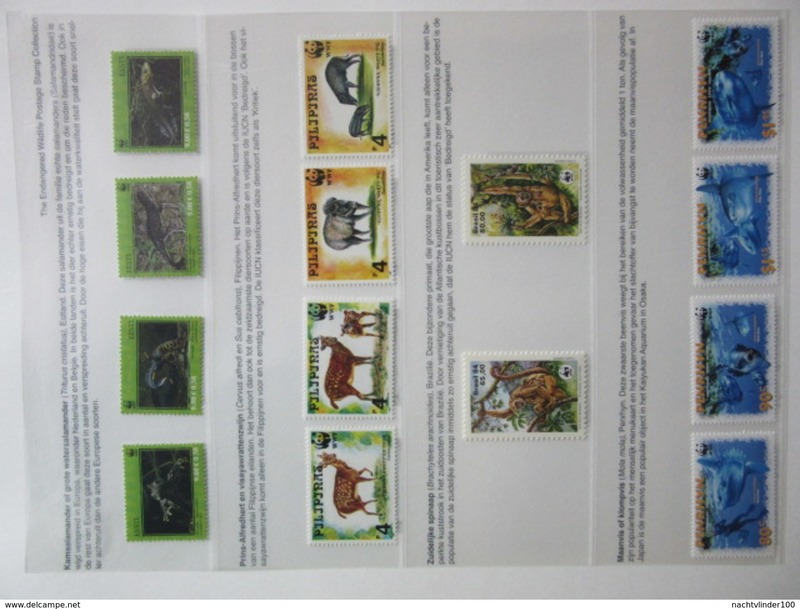 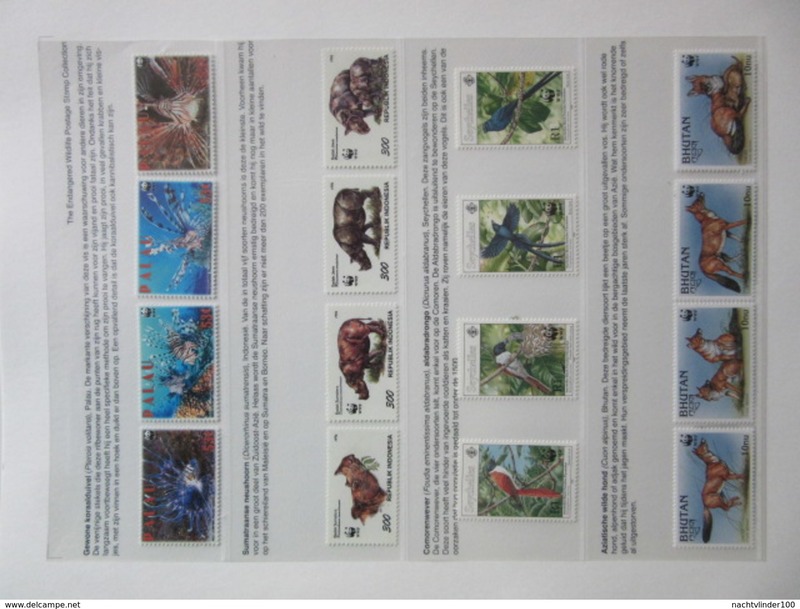 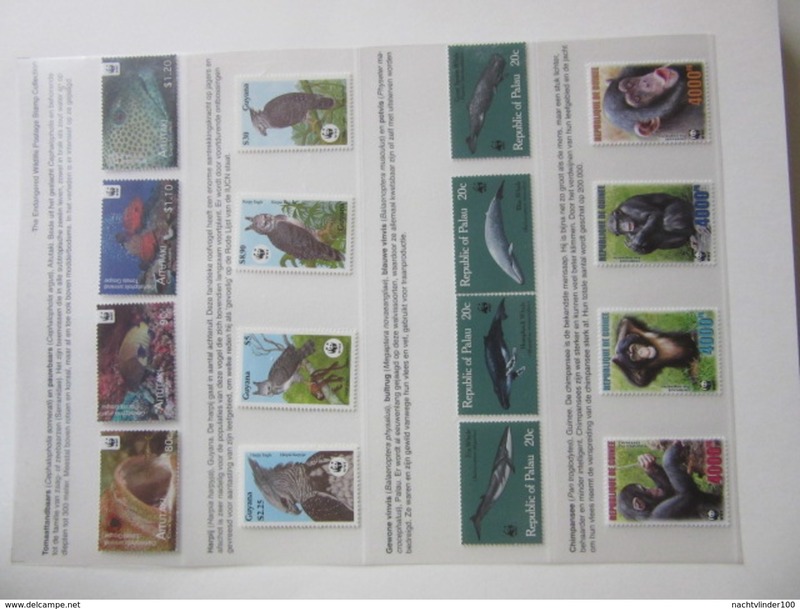 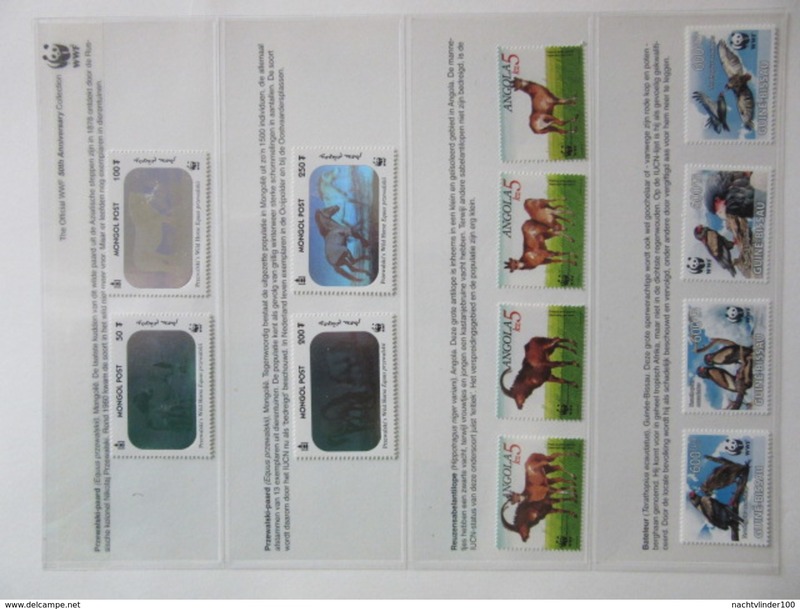 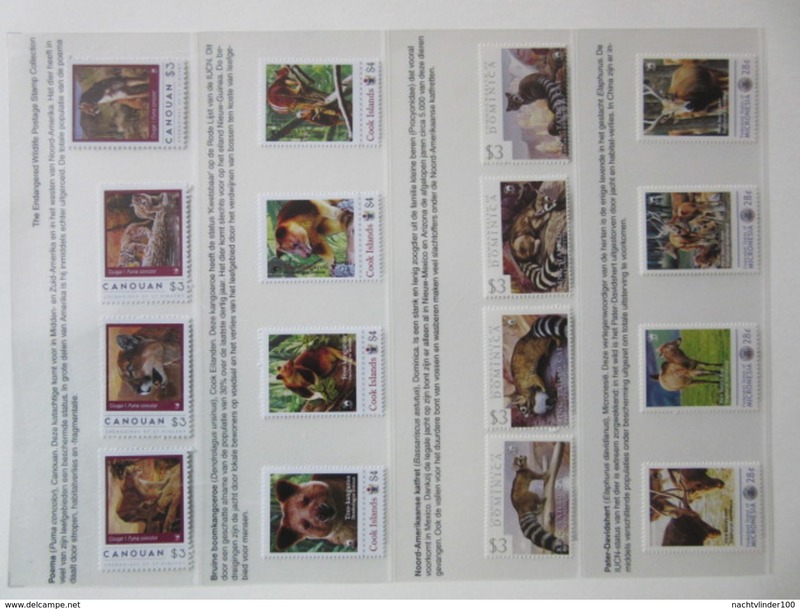 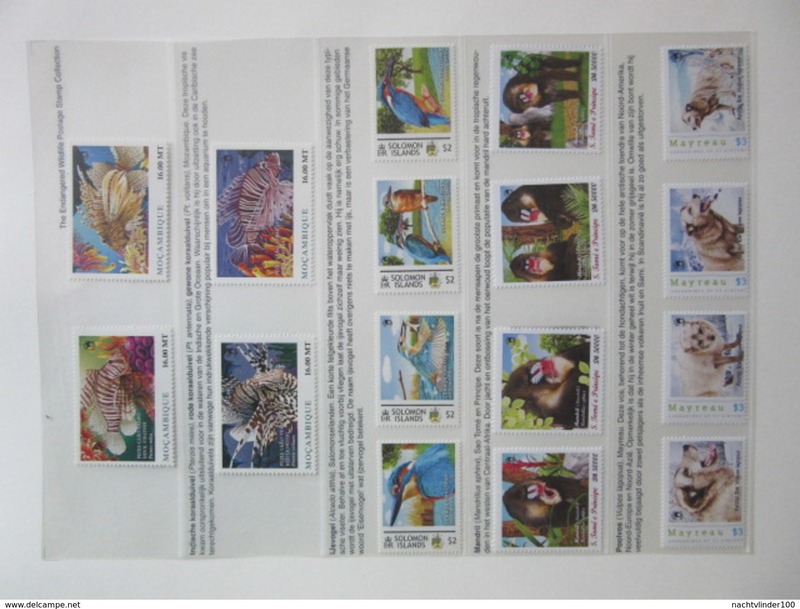 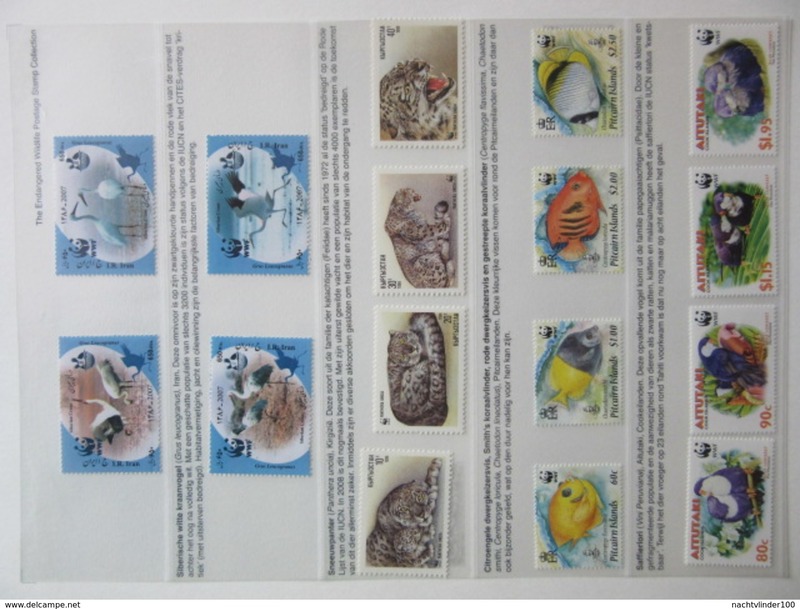 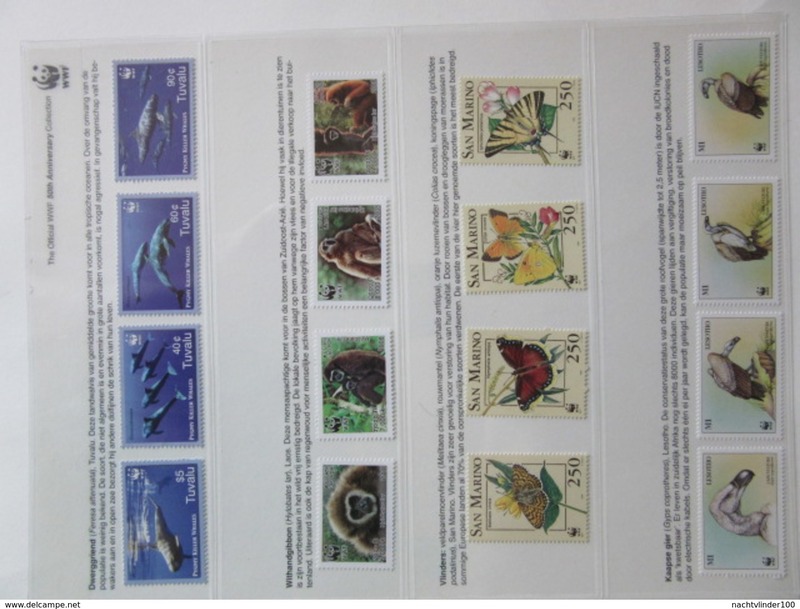 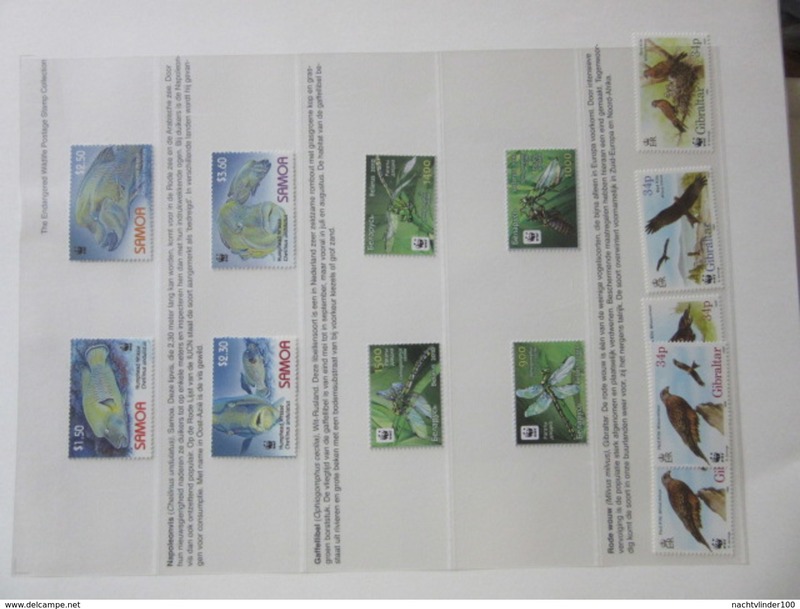 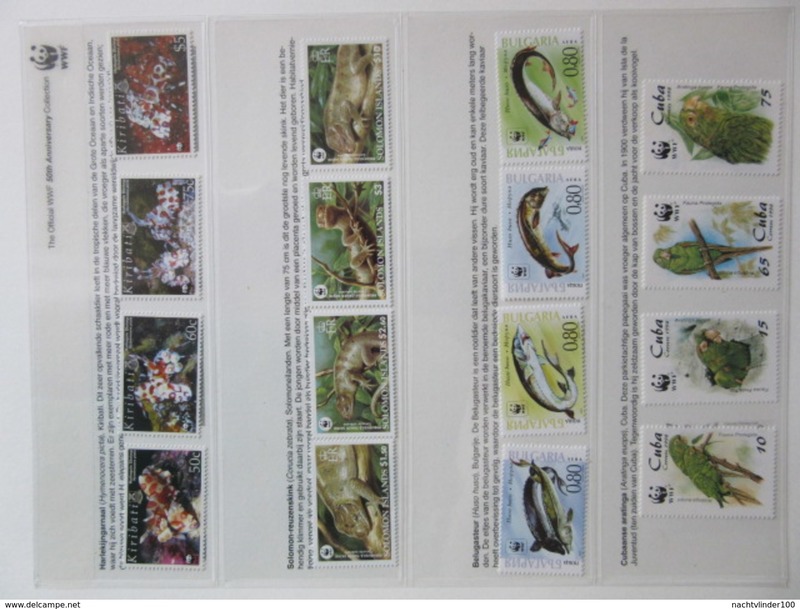 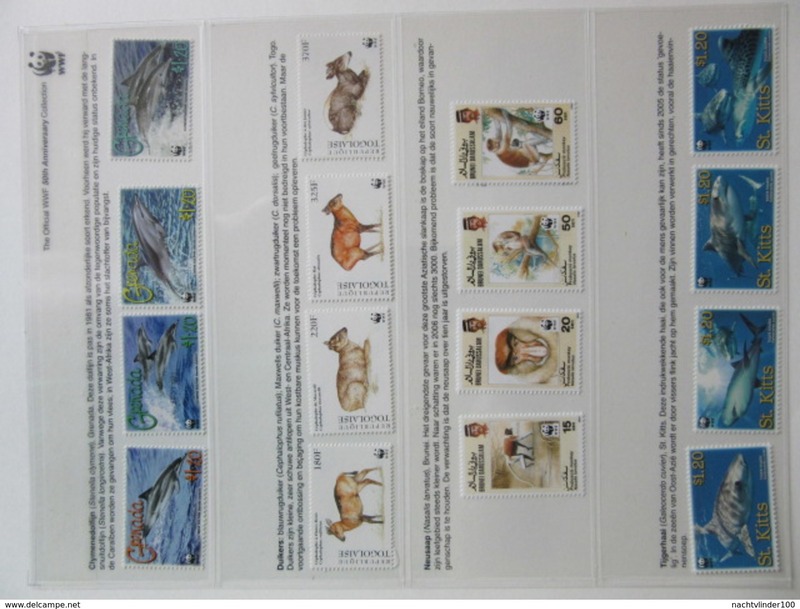 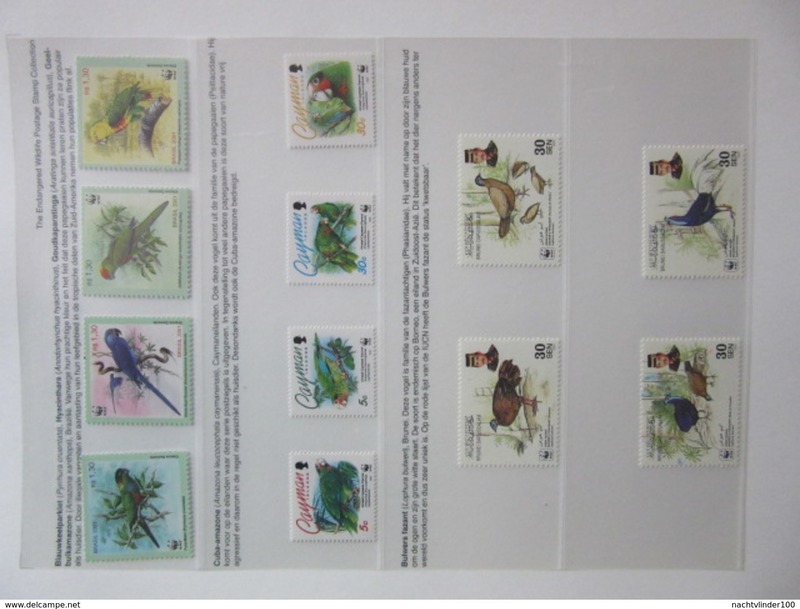 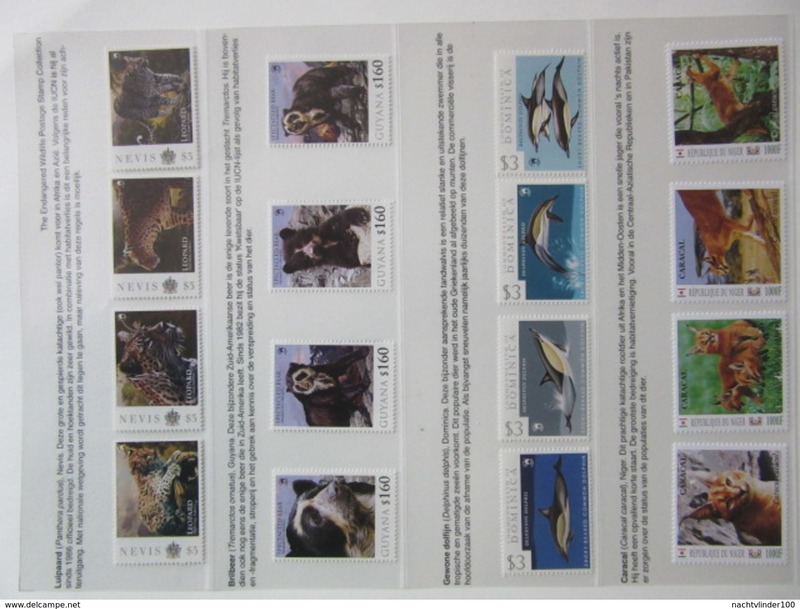 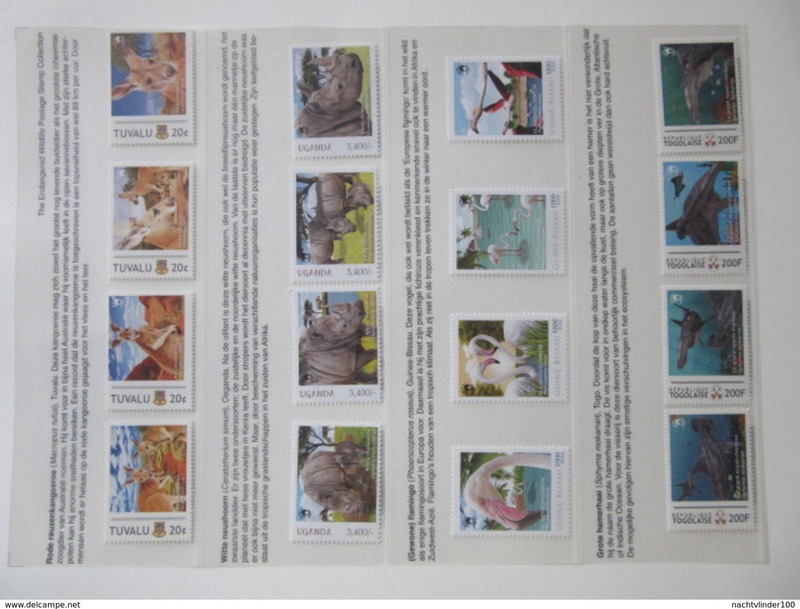 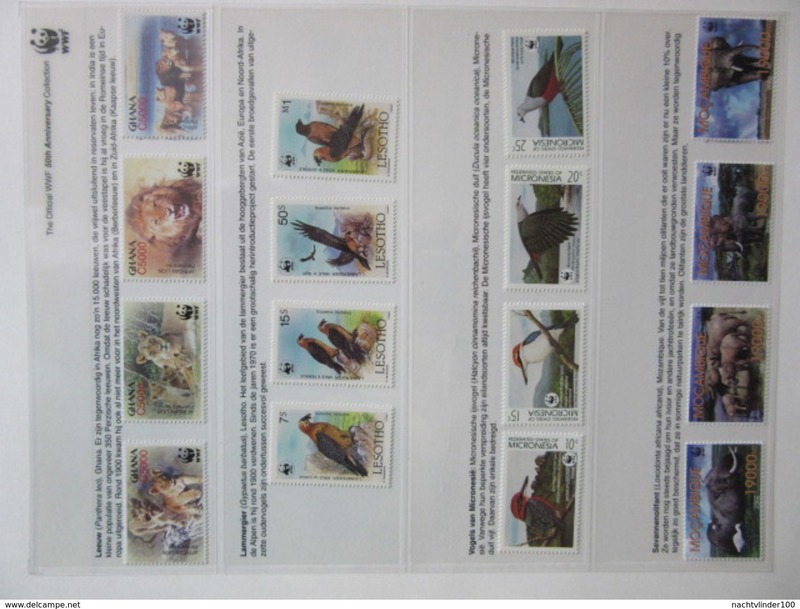 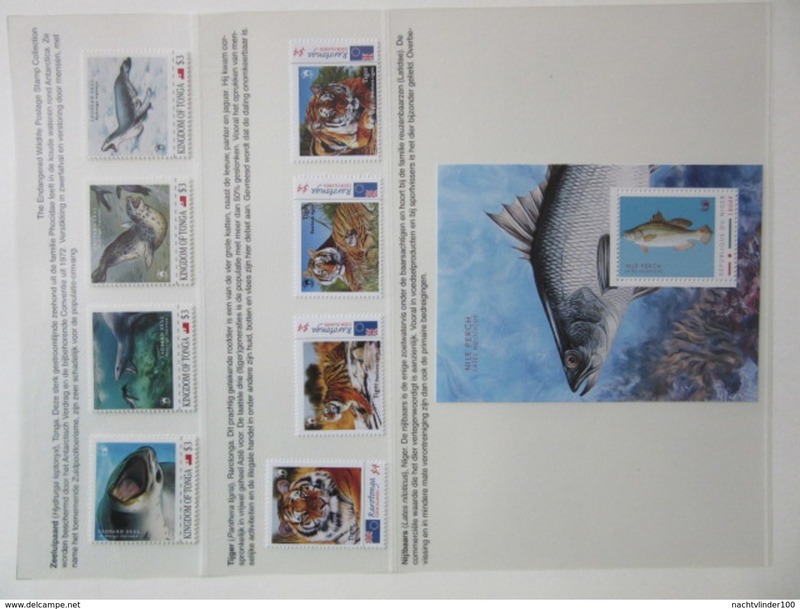 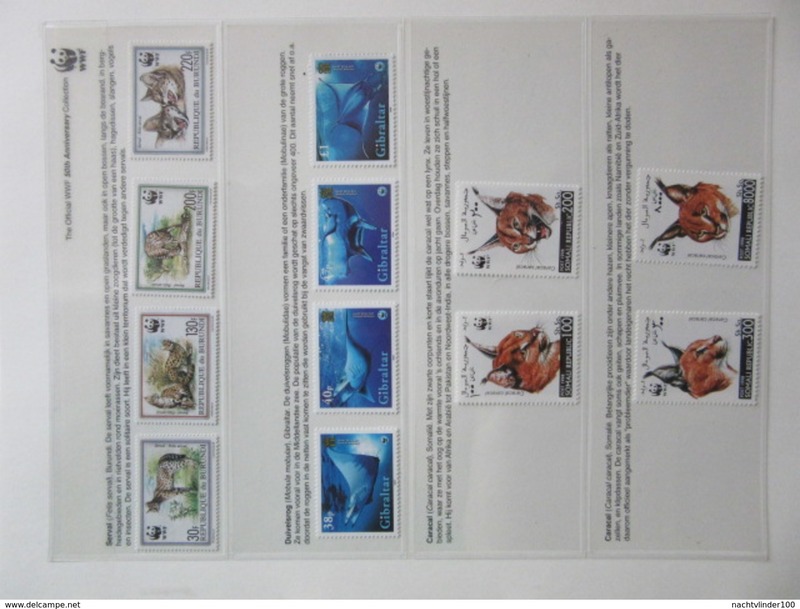 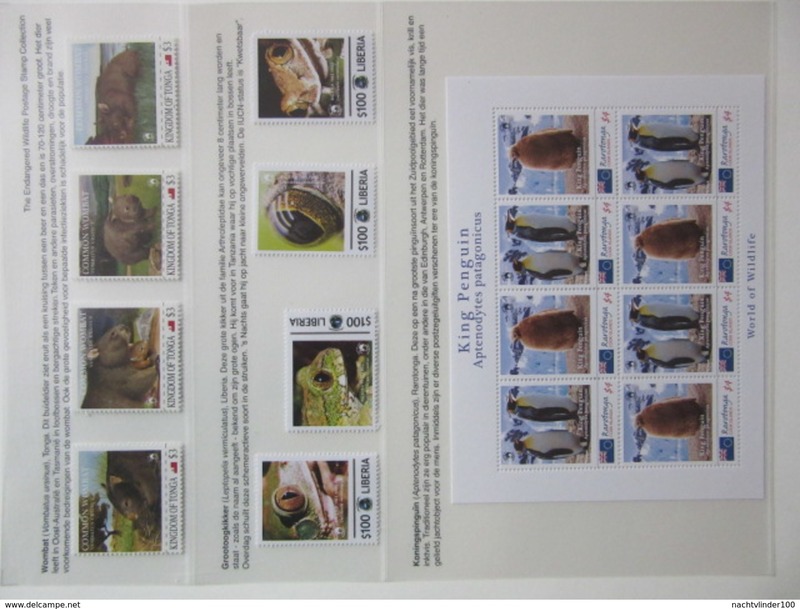 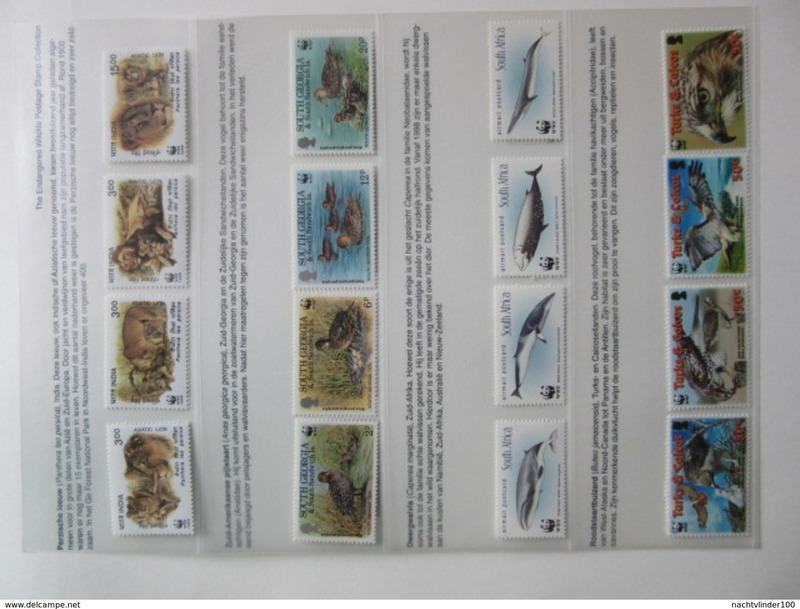 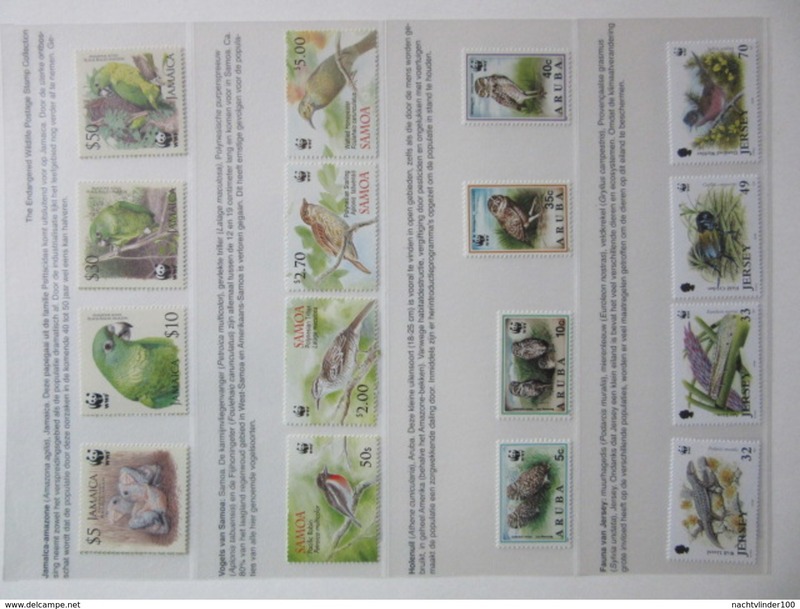 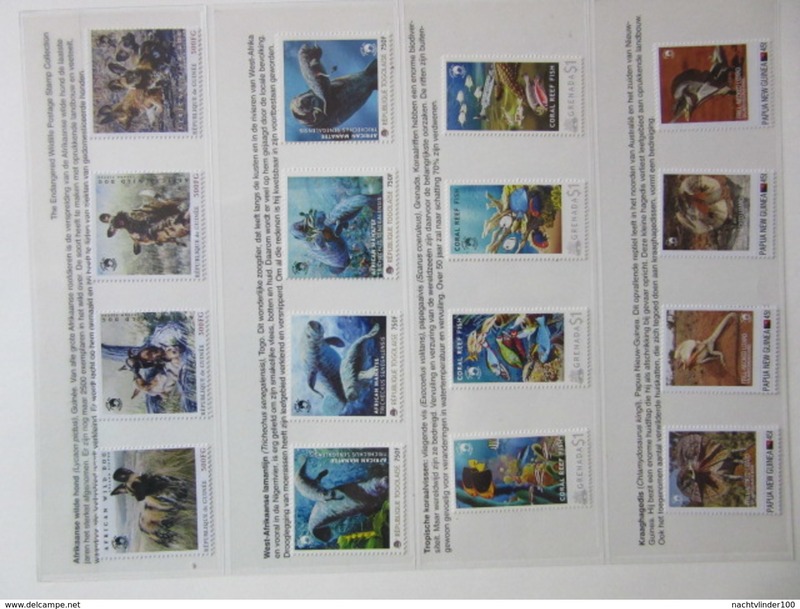 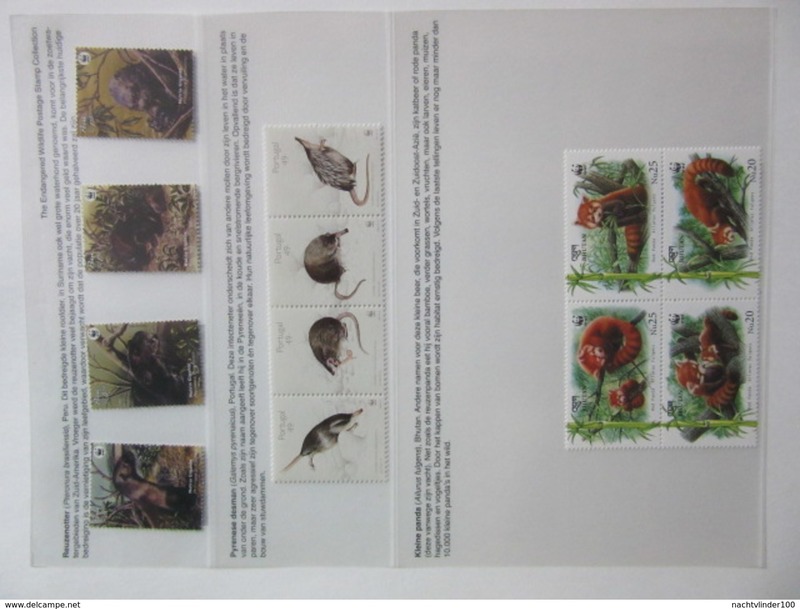 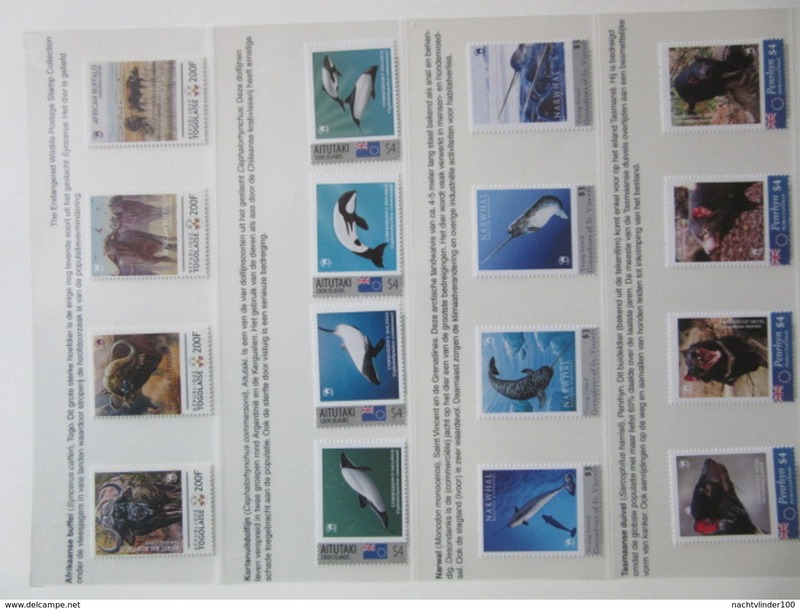 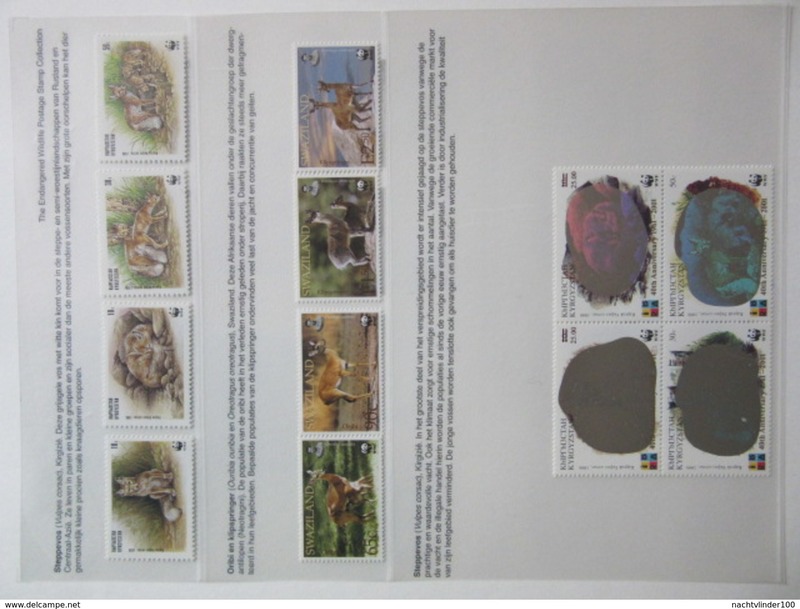 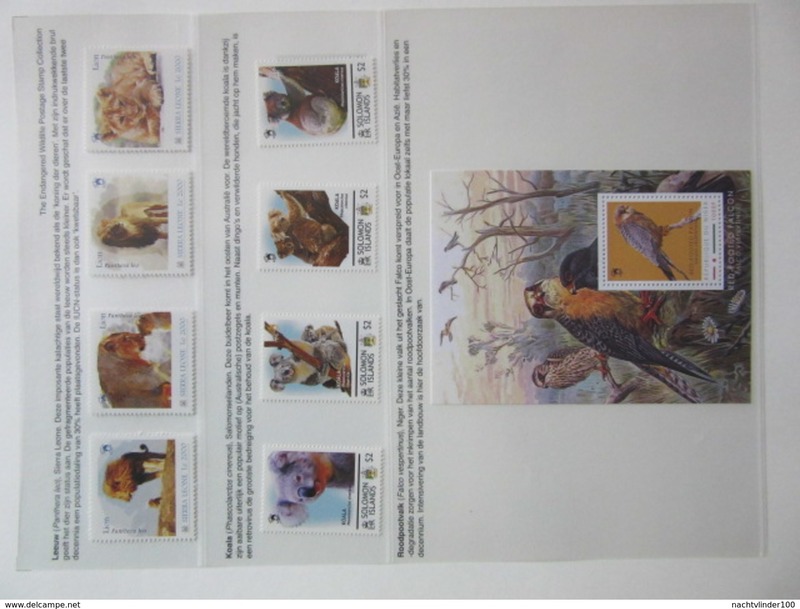 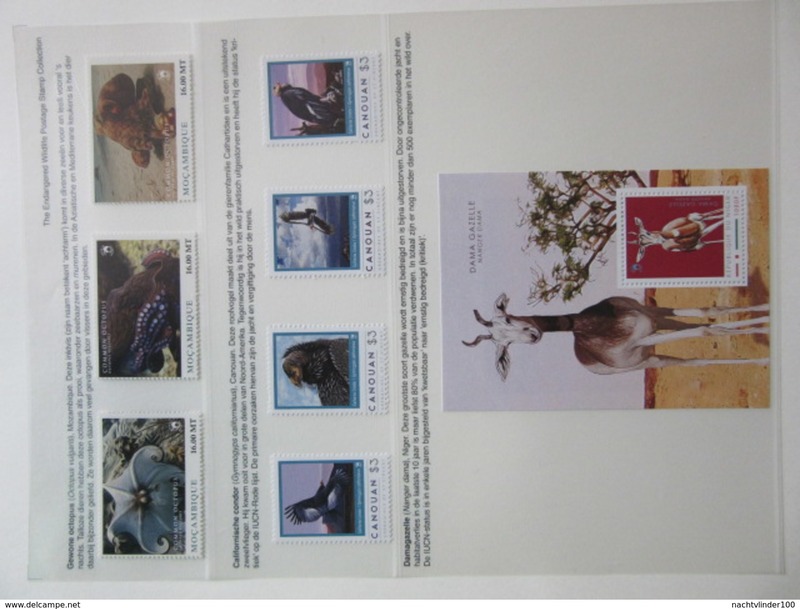 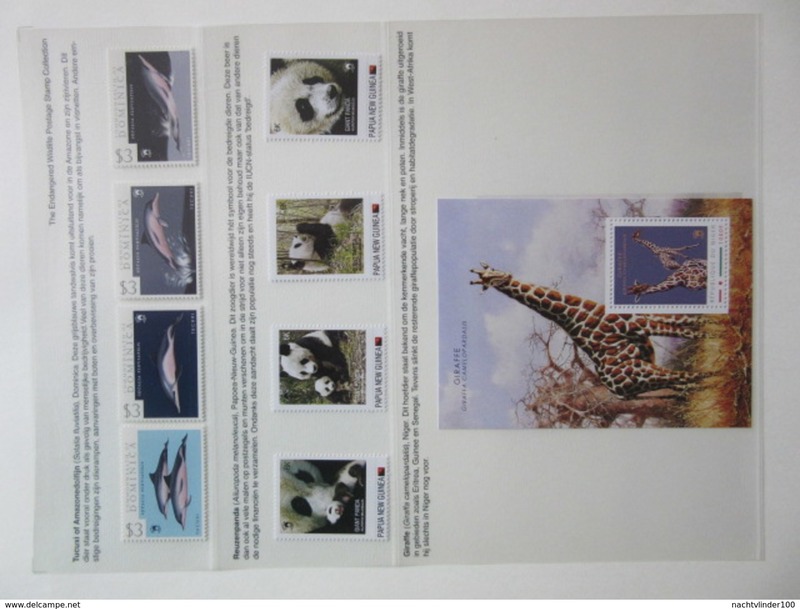 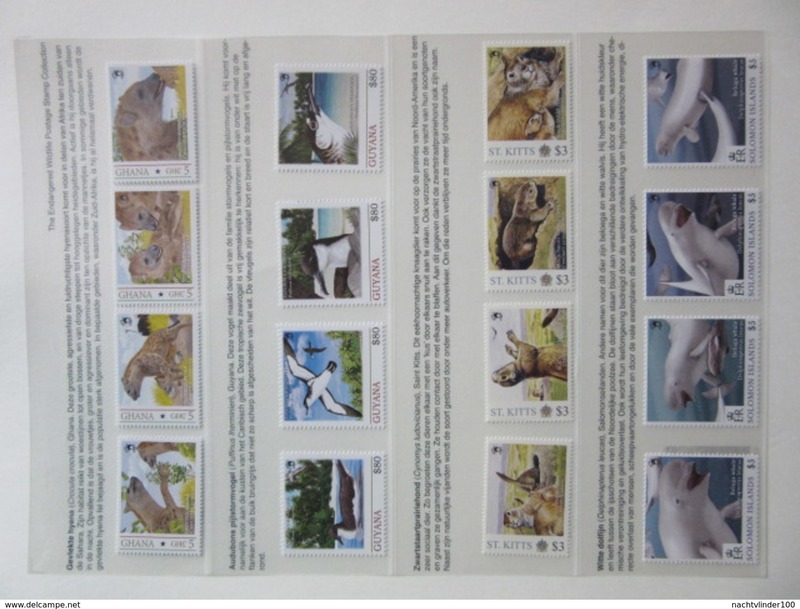 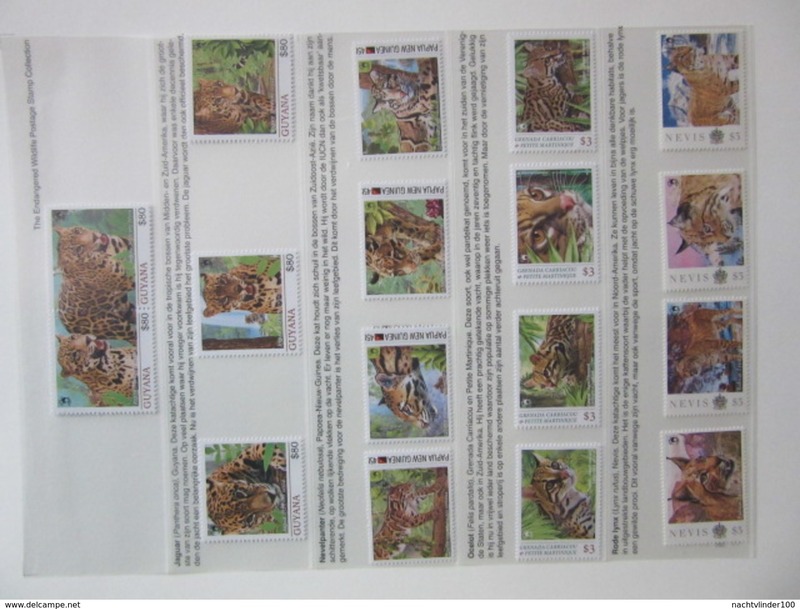 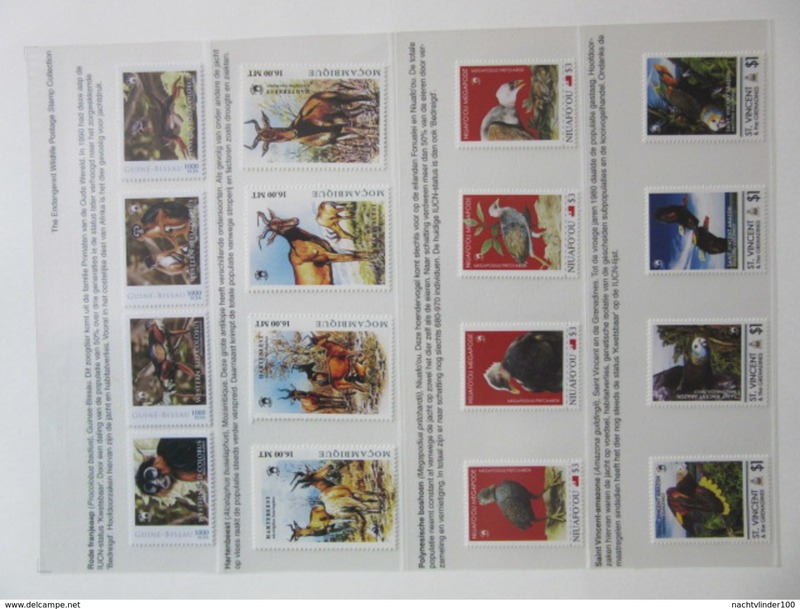 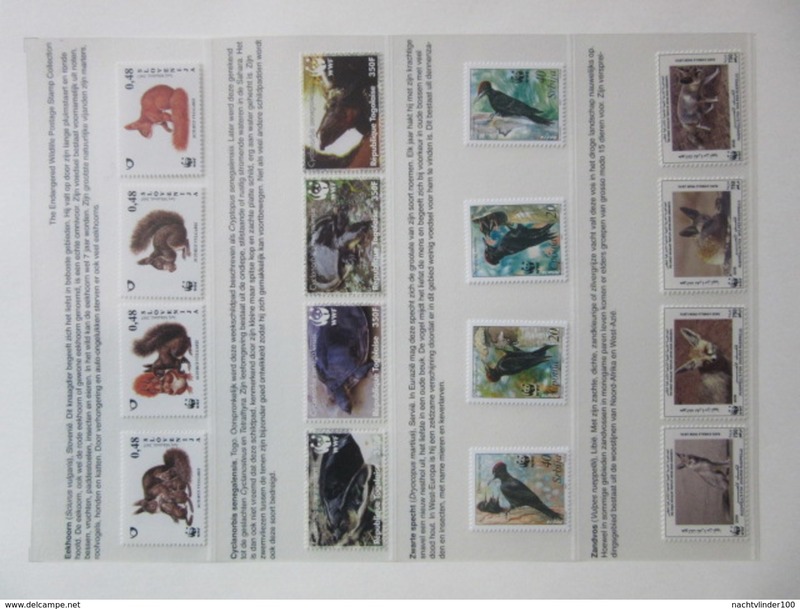 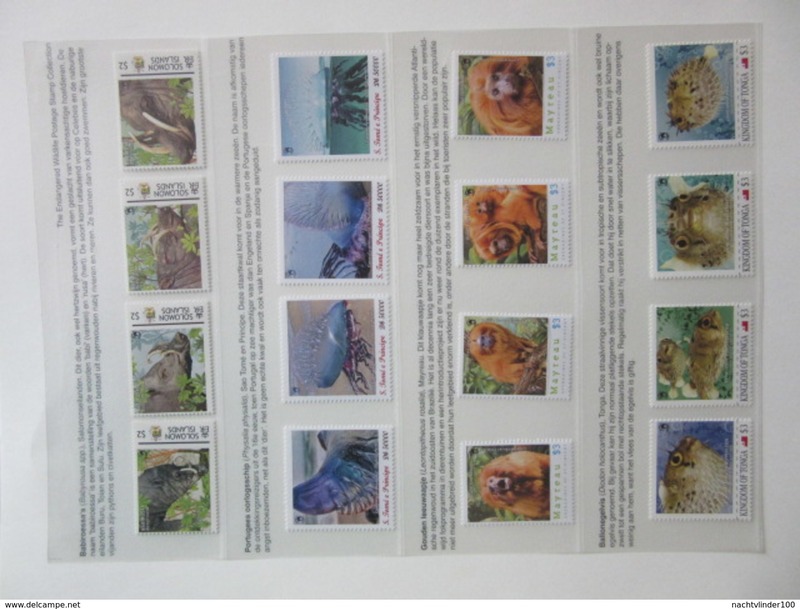 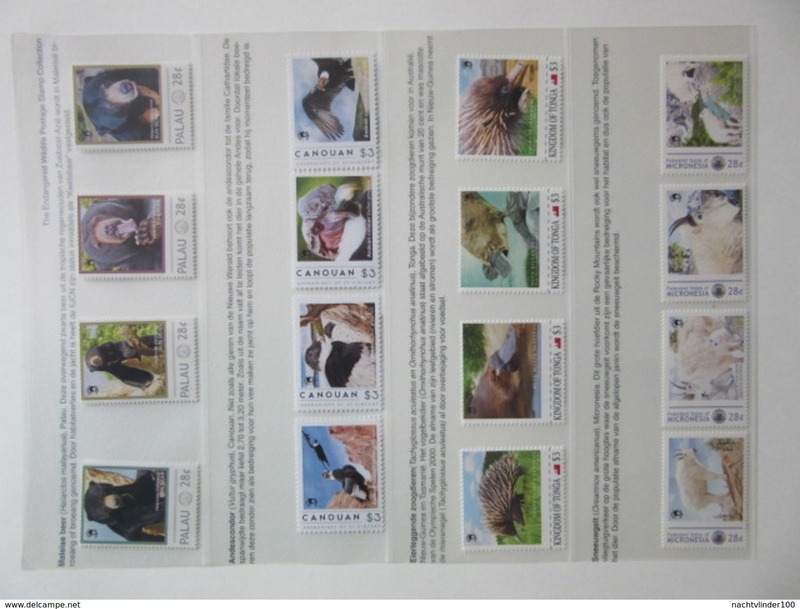 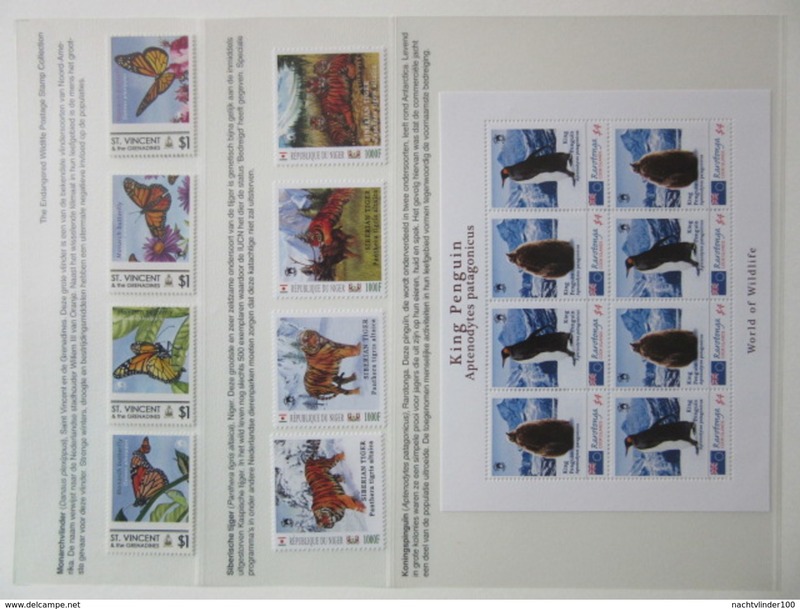 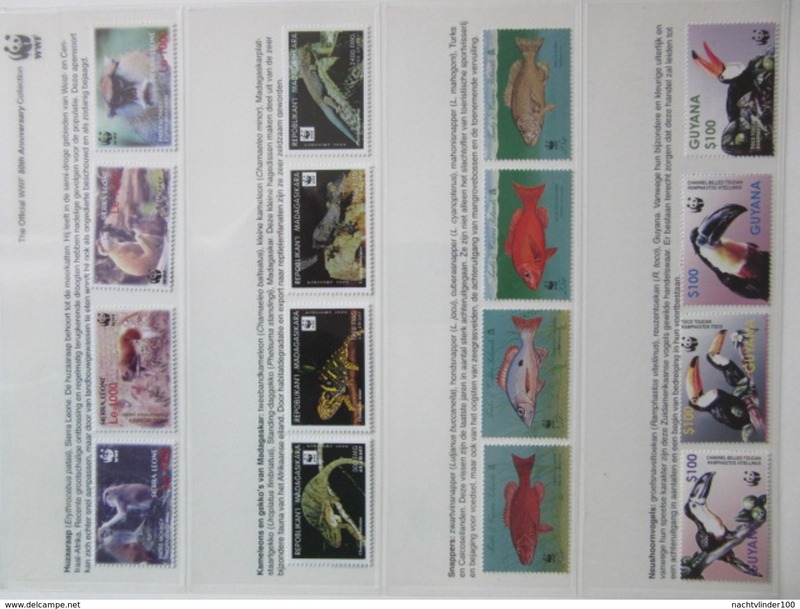 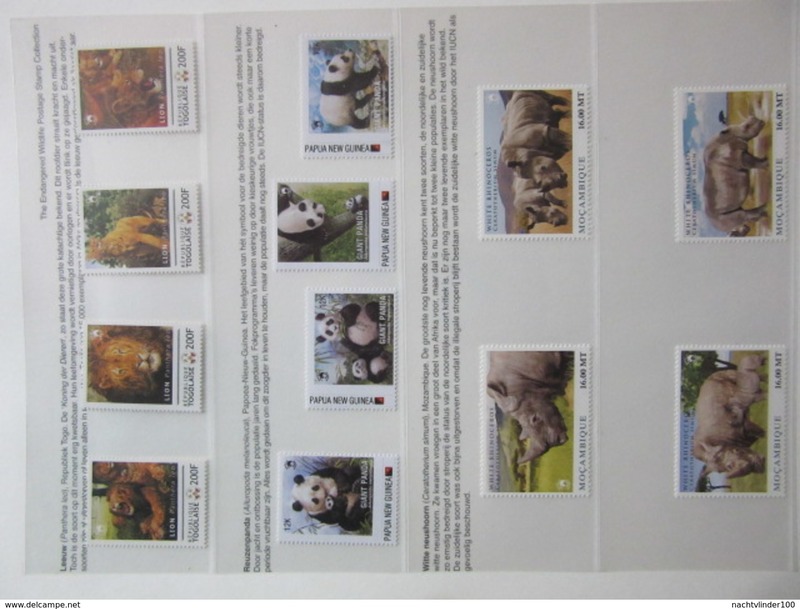 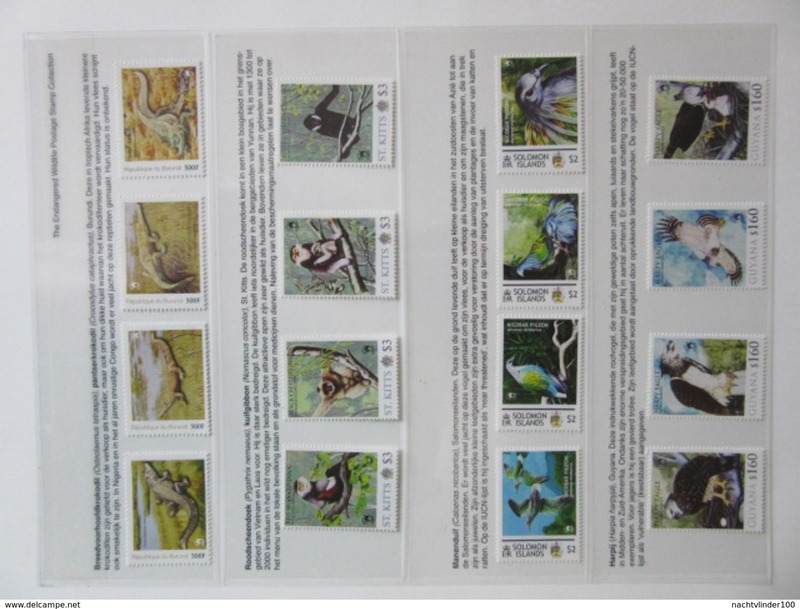 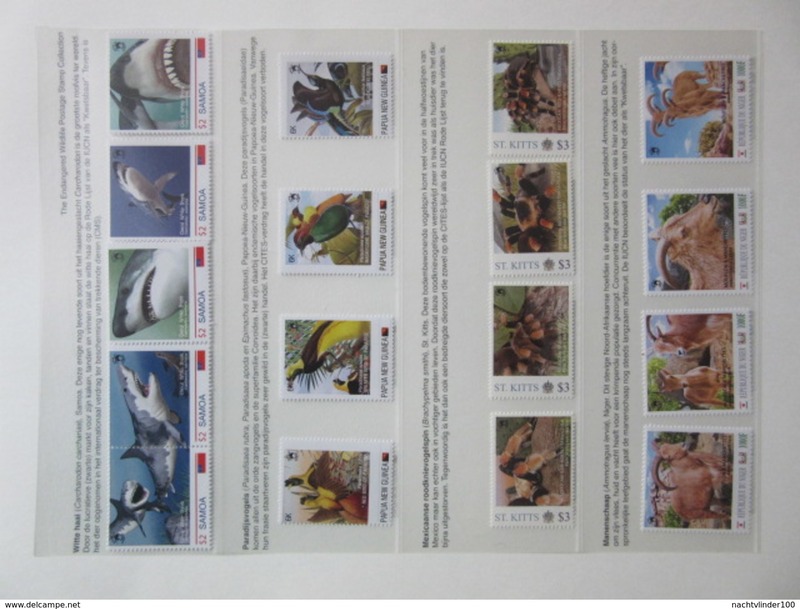 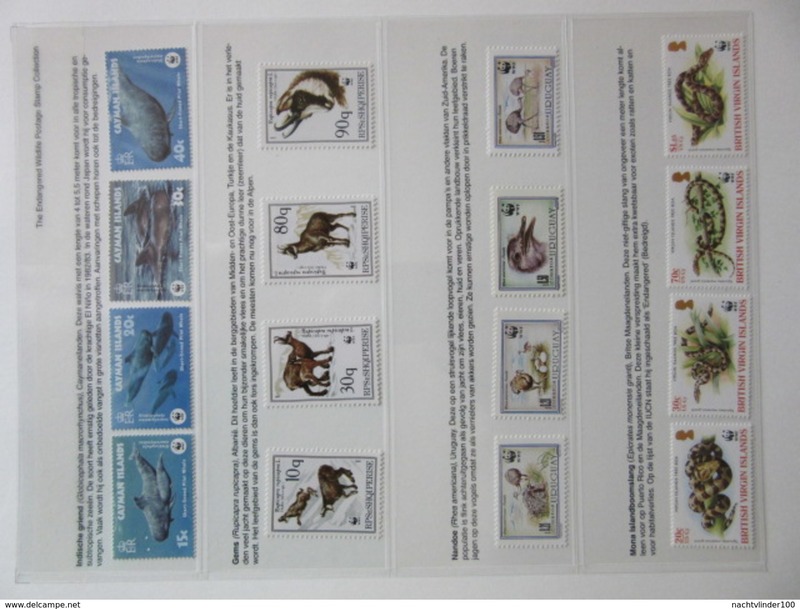 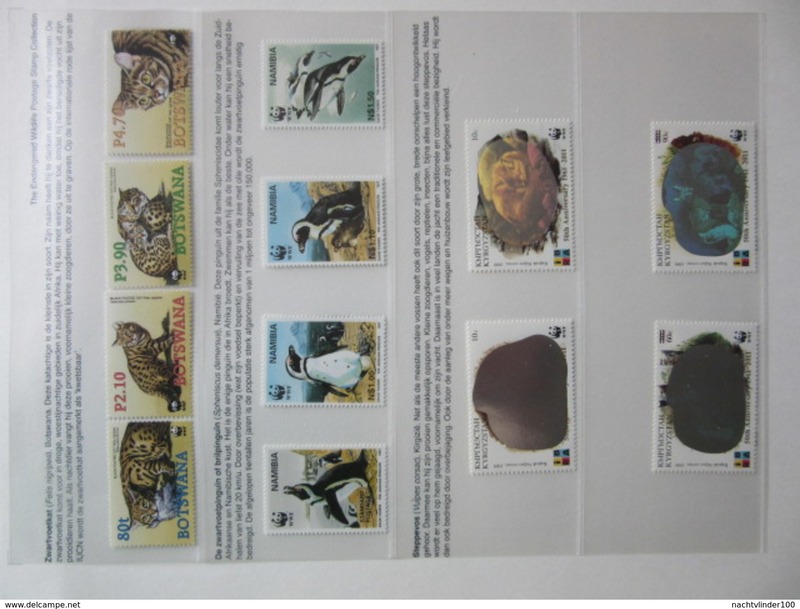 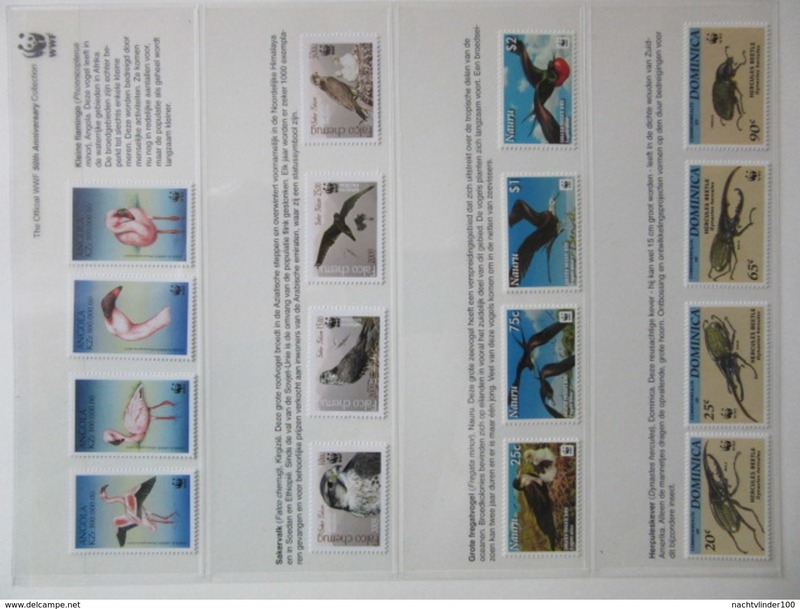 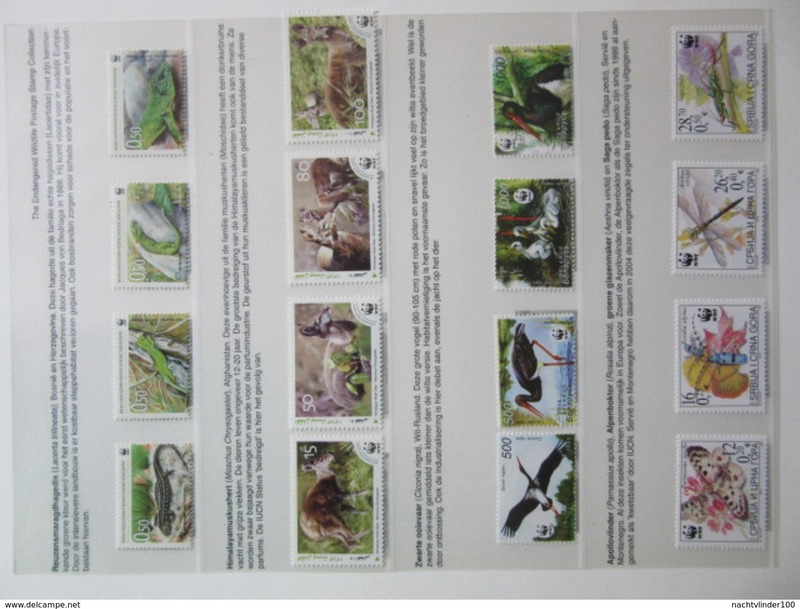 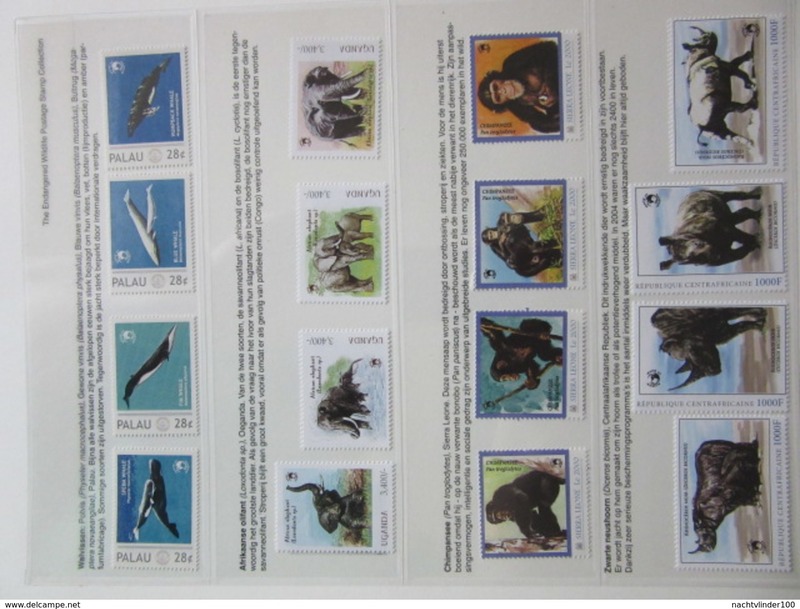 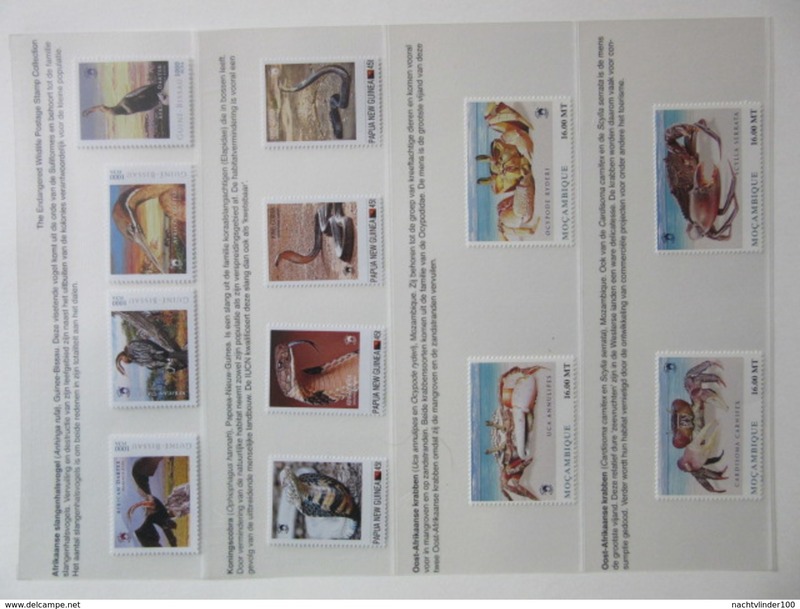 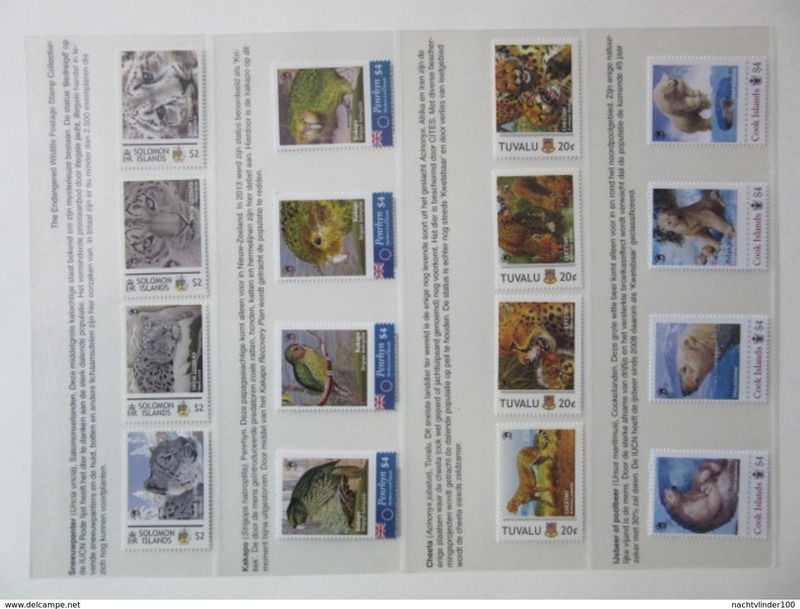 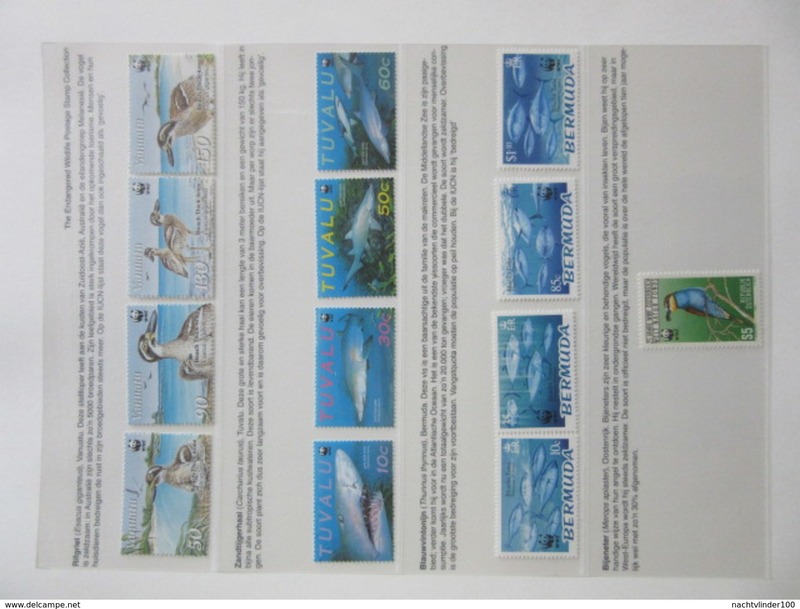 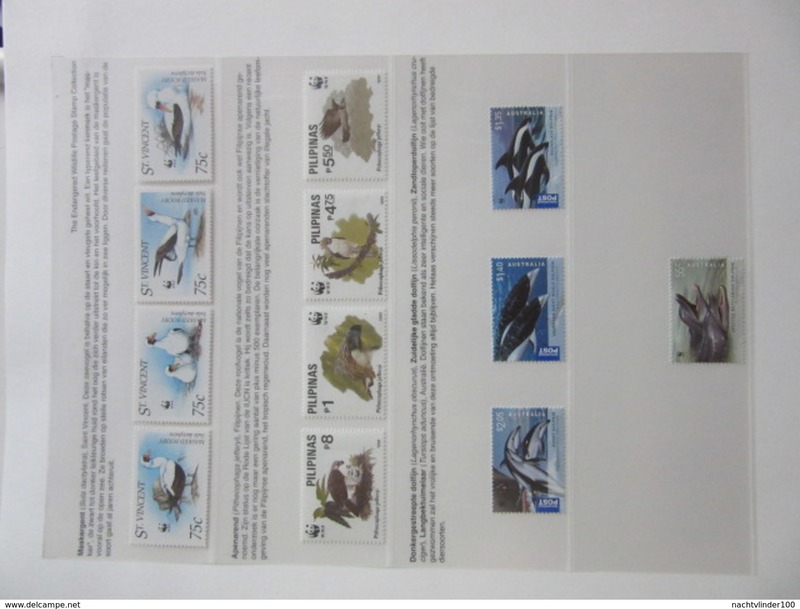 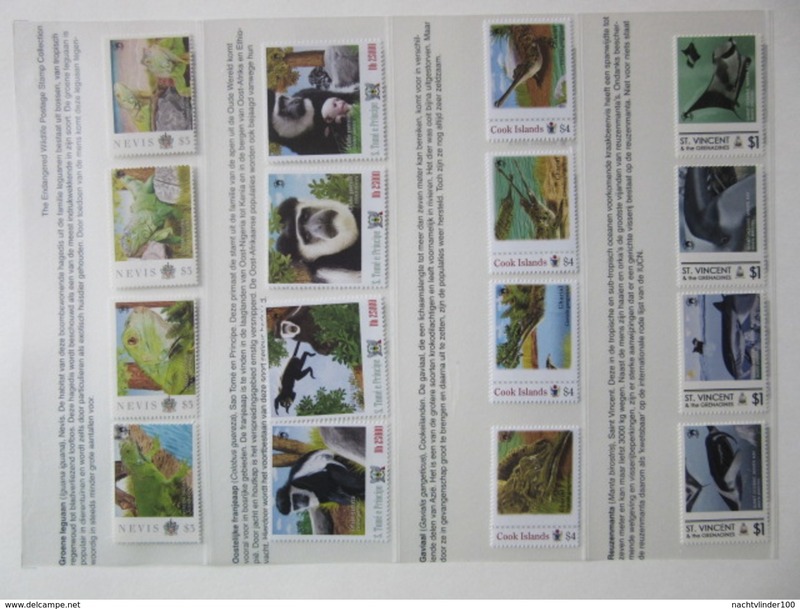 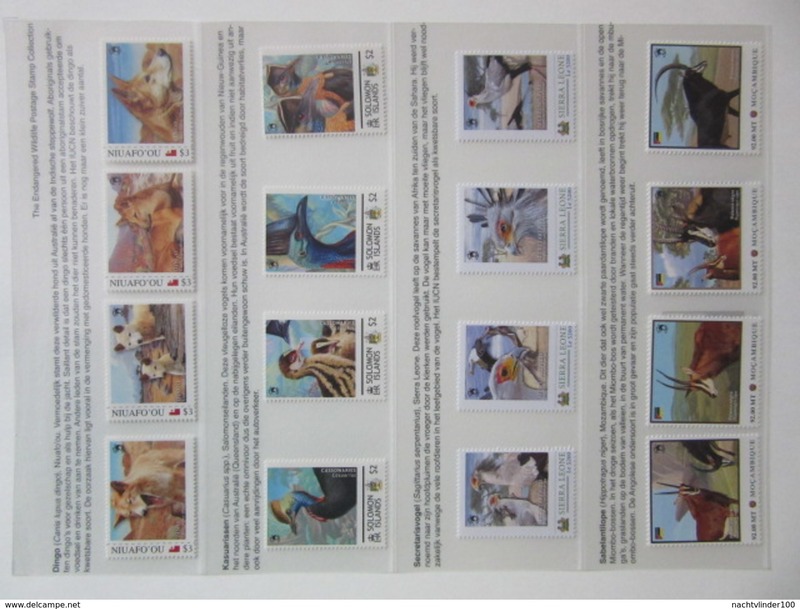 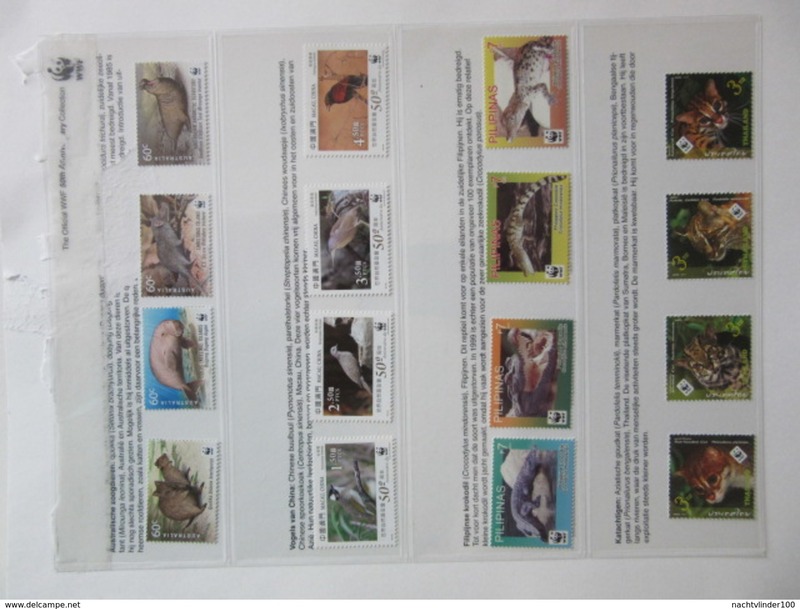 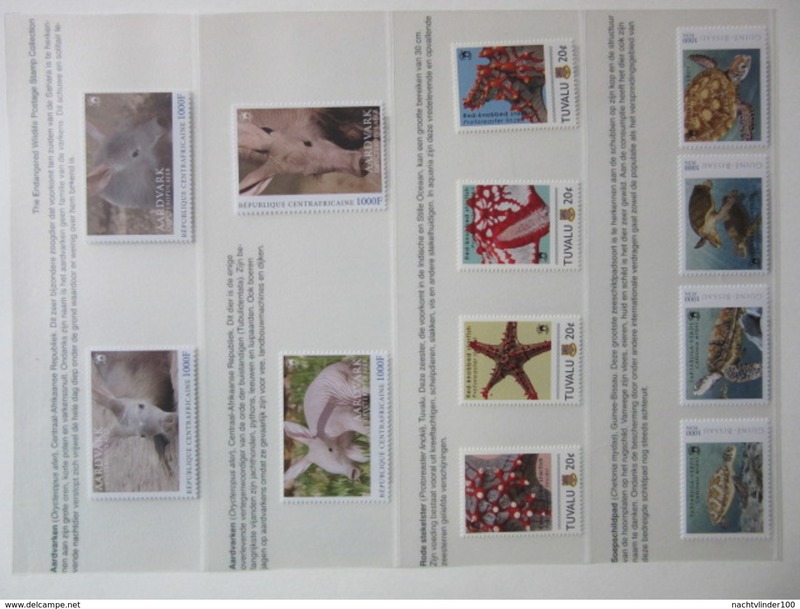 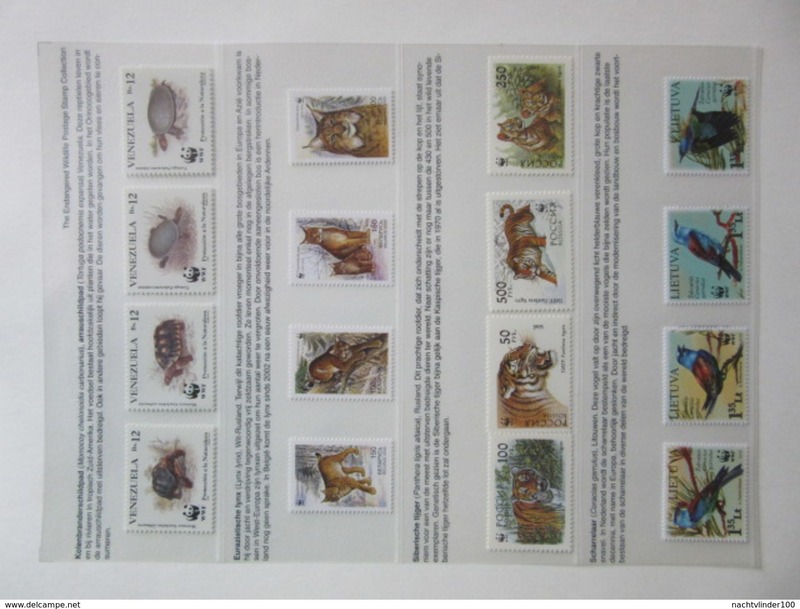 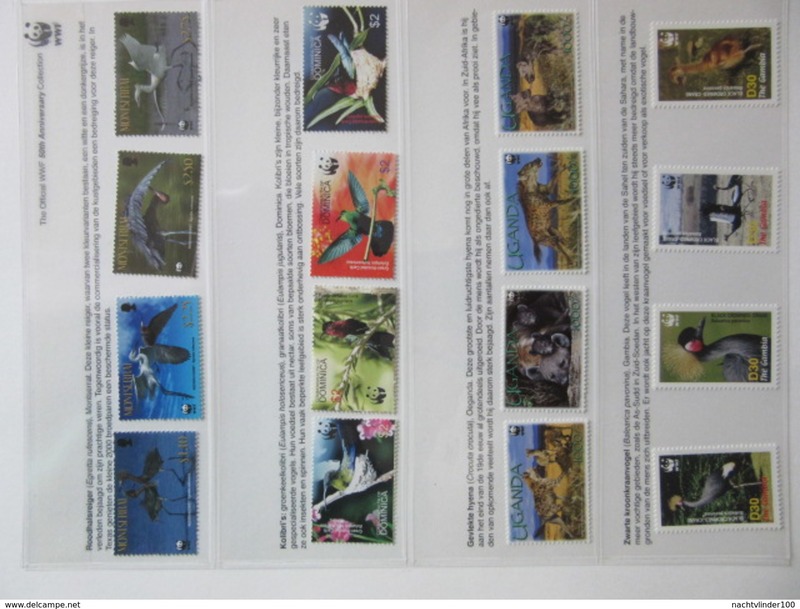 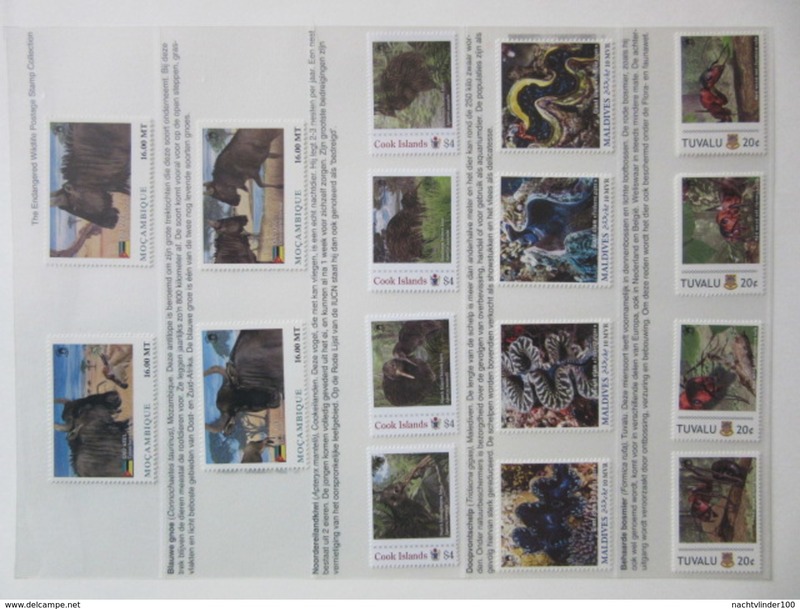 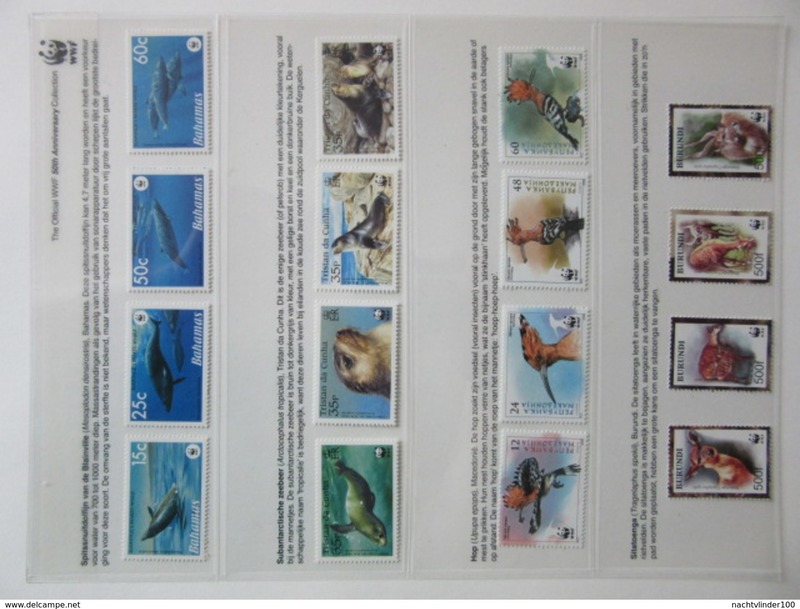 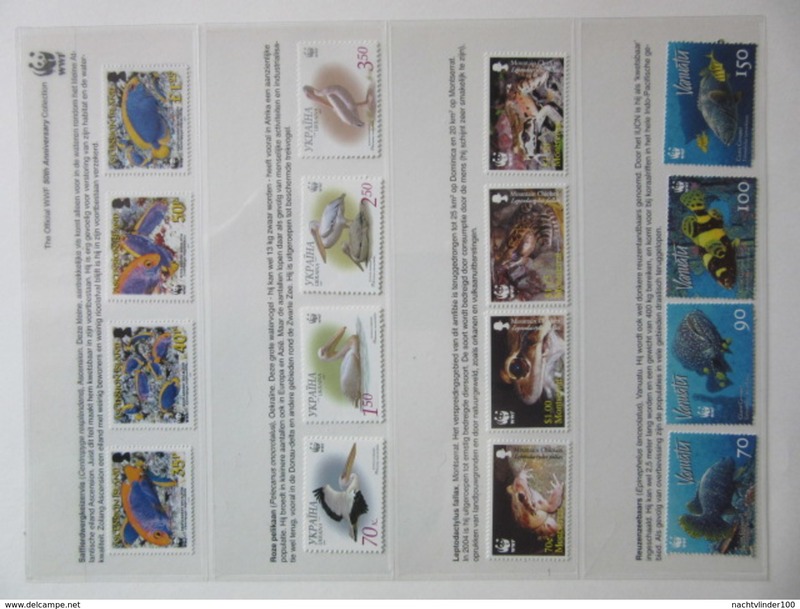 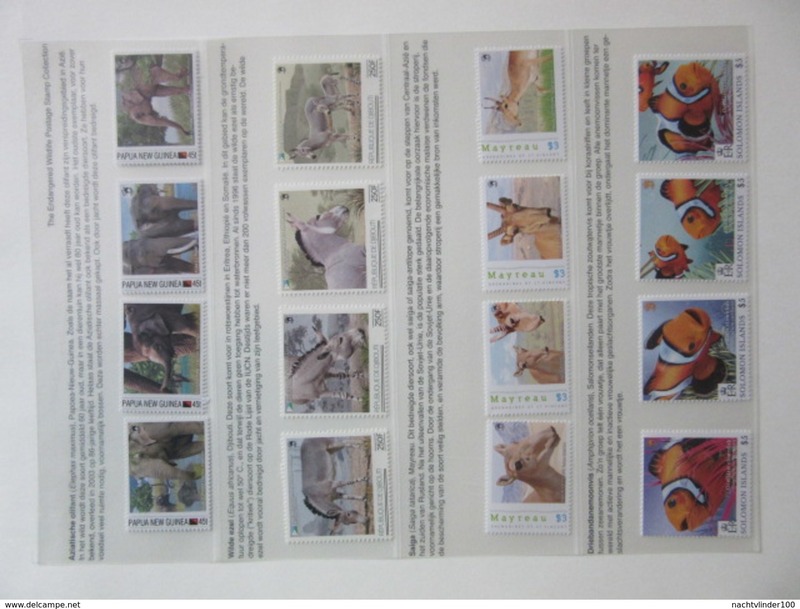 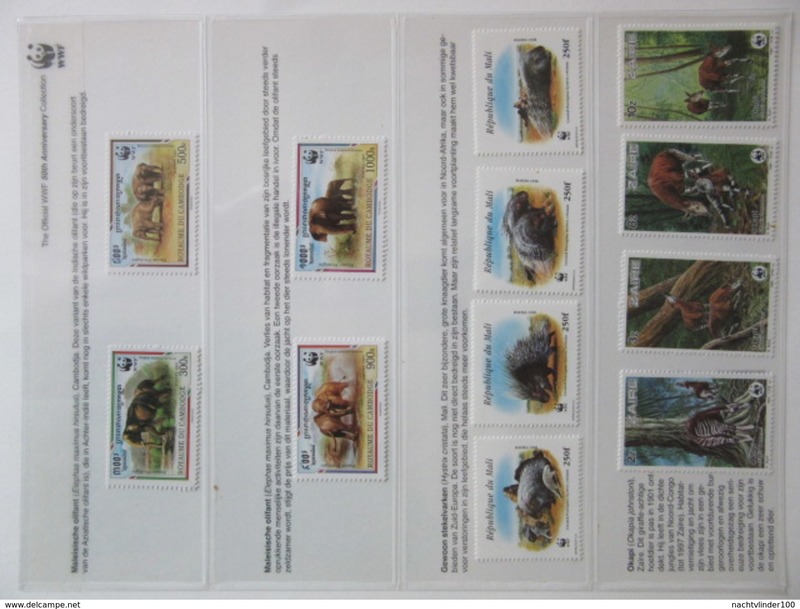 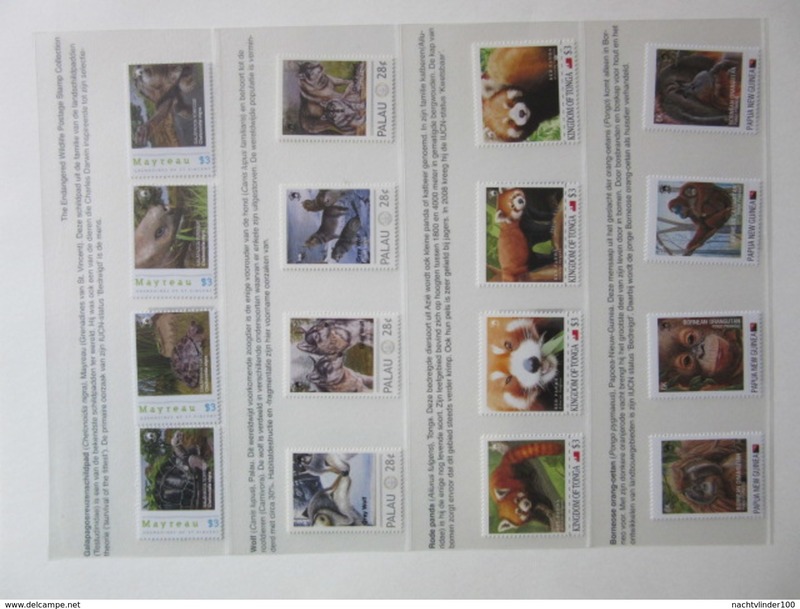 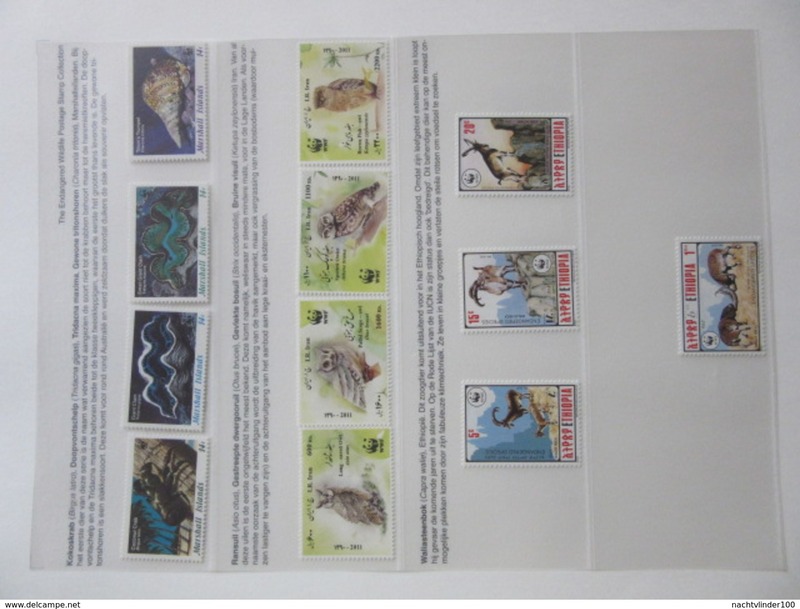 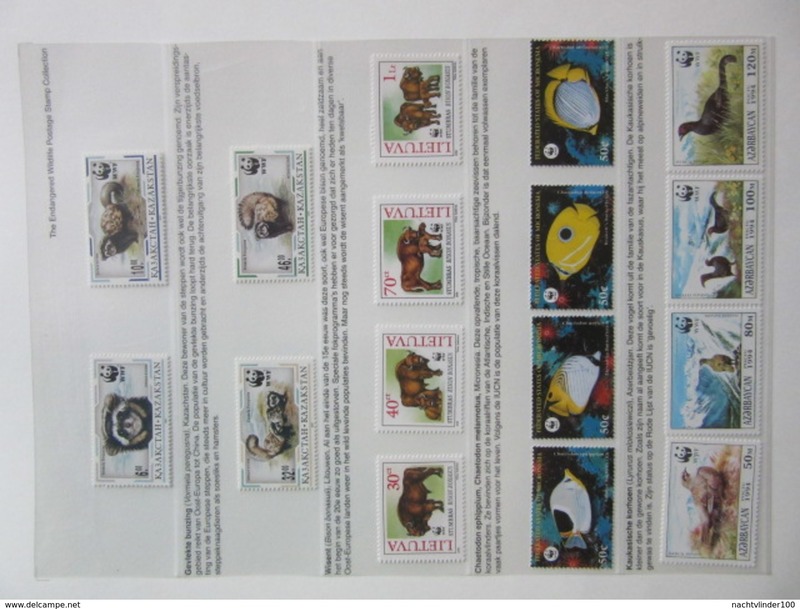 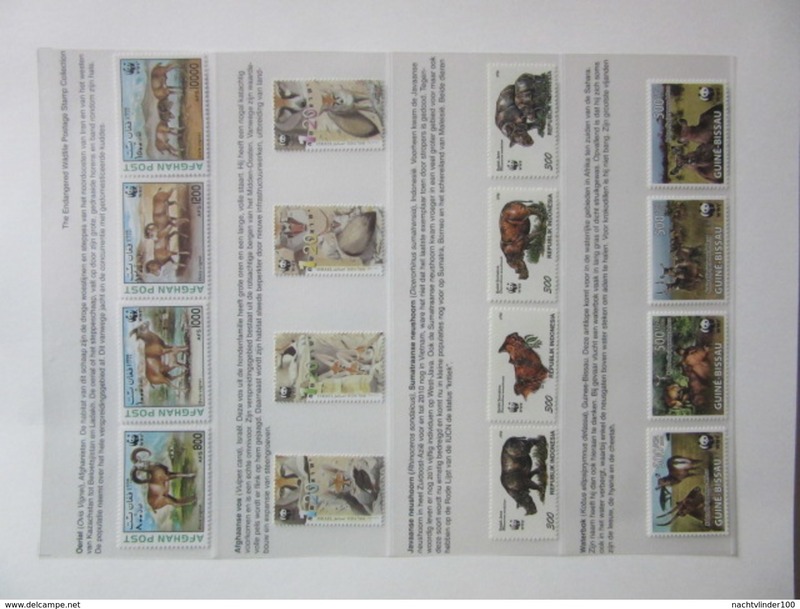 NICE LOT: FAUNA MNH WWF and the official Endangered Wildlife postage Stamp Collection 375 sets/sheets, all kinds of animals: birds, fish, mammals, butterflies, wild cats, elephants, bats, whales, dolphins and so on. 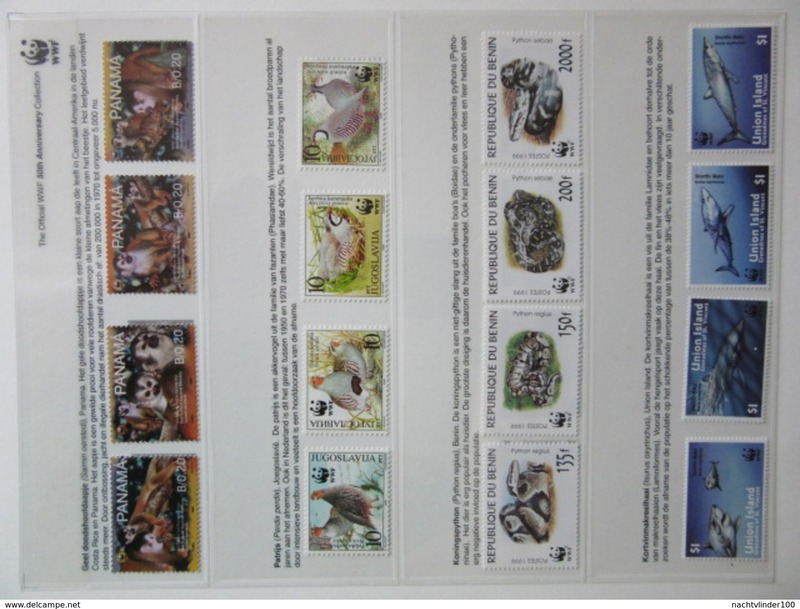 Every animal species comes with a text about that animal, only the text is in Dutch. 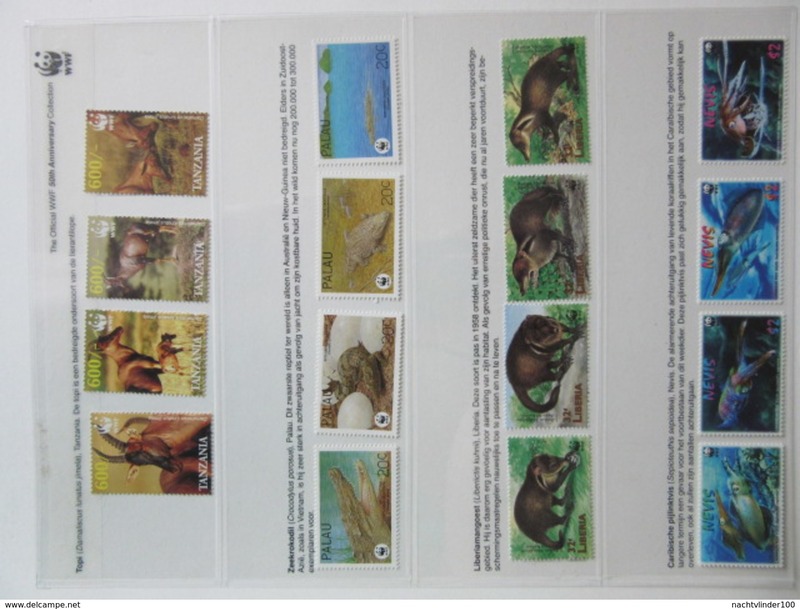 Three nice albums, two with cassette, with a large and beautiful collection of protected animals. 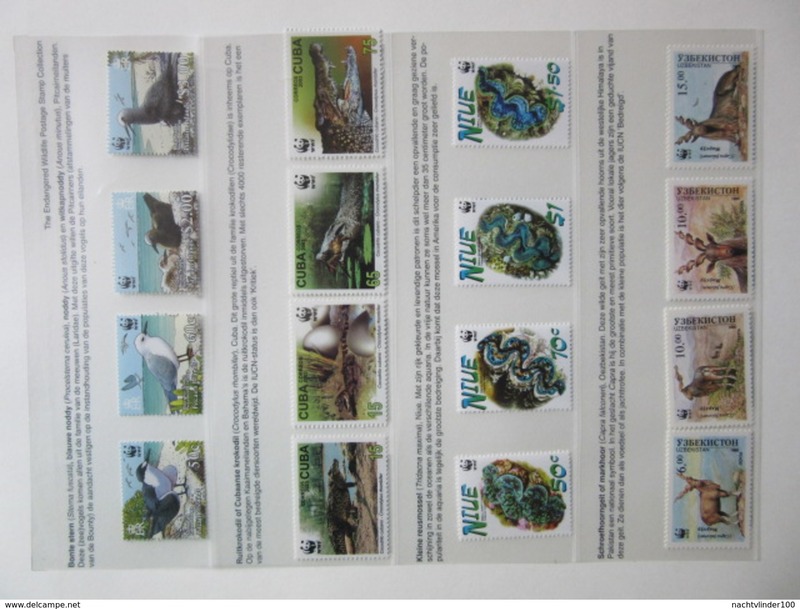 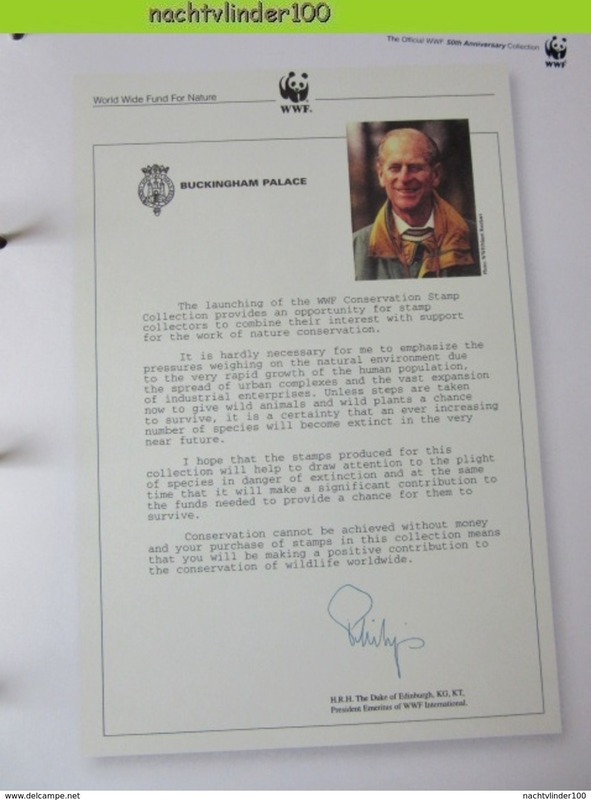 Lots of special editions for the 50th anniversary of the WWF. 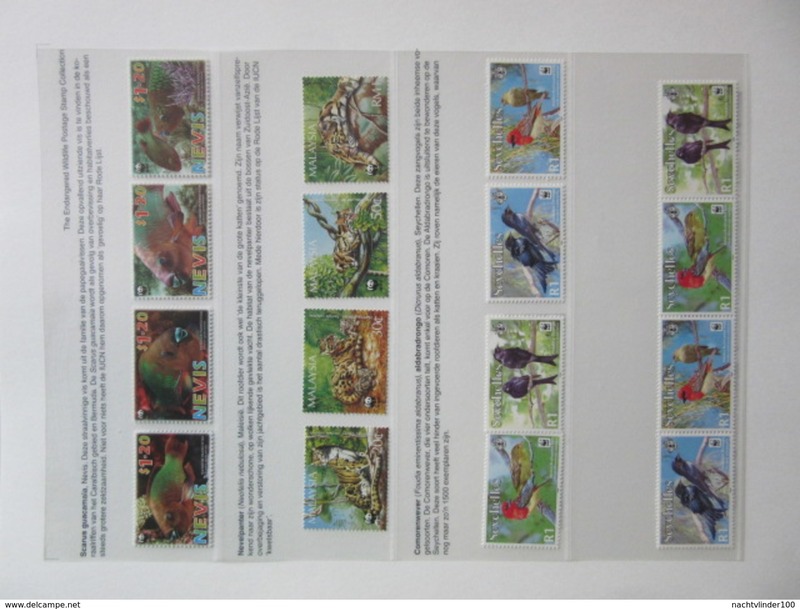 The albums look very nice and are hardly damaged. 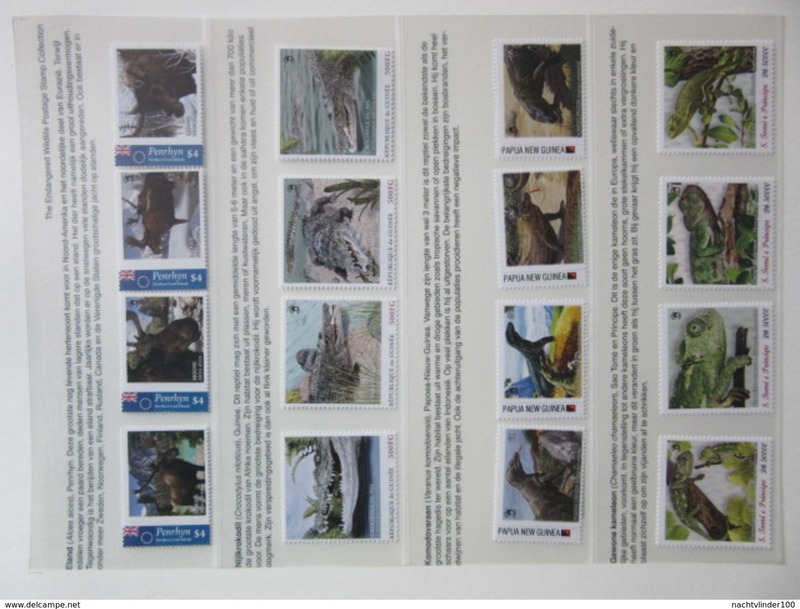 If you are only interested in the special editions (199 sets/sheets), please let me know by contacting me. 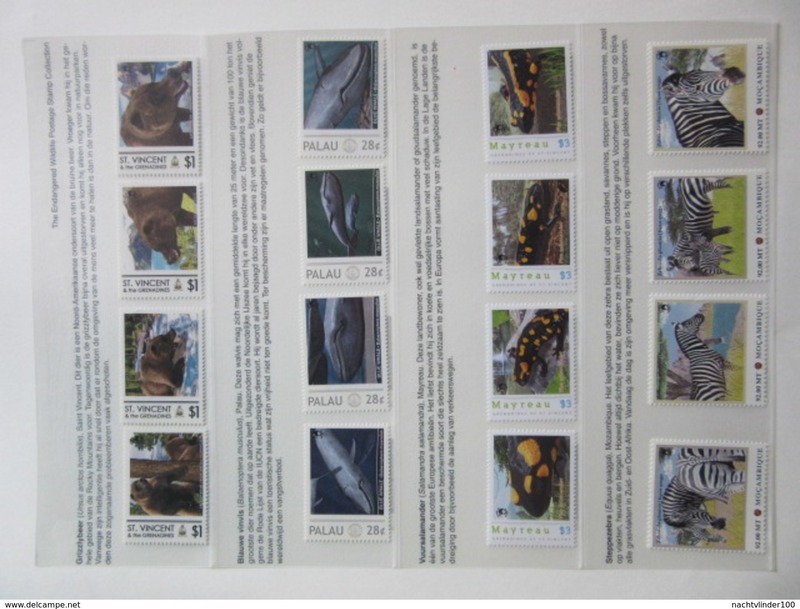 If the total collection stays unsold I might split it up. 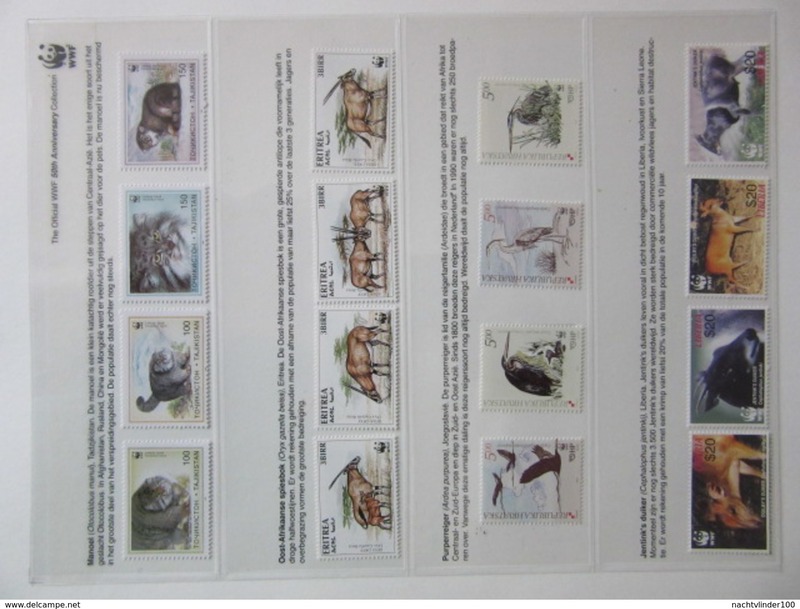 Drie mooie albums, nauwelijks beschadigd, twee met cassette. 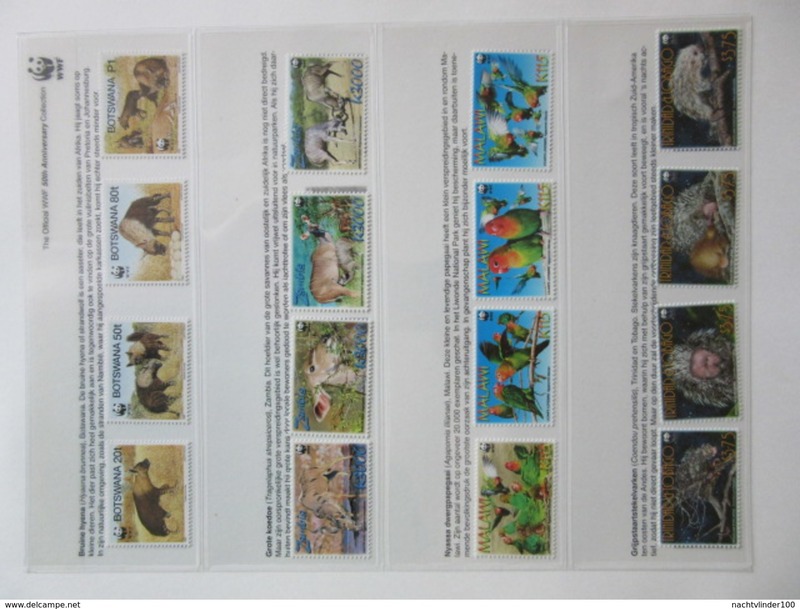 Met een enorme variëteit van dieren: vogels, vissen vlinders zoogdieren, vleermuizen, olifanten, leeuwen, tijgers, walvissen, dolfijnen enzovoort. 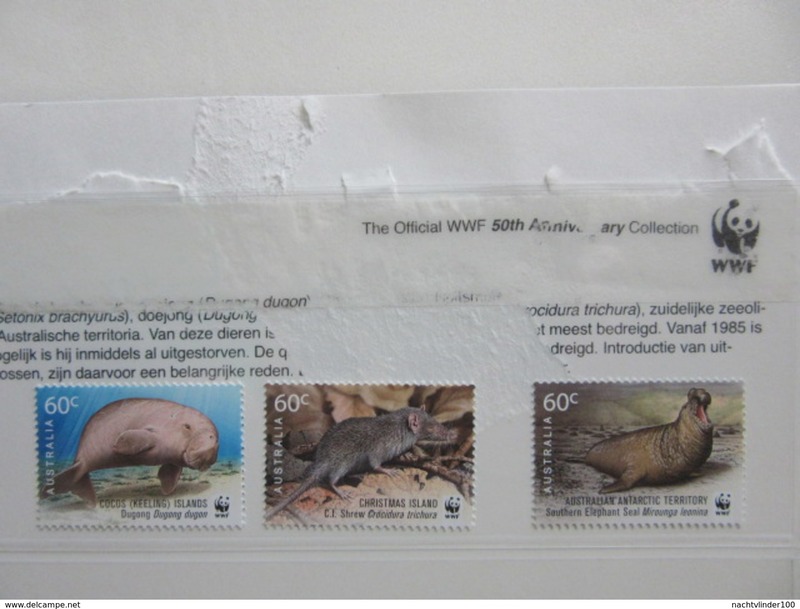 Bij iedere diersoort staat wat informatie vermeld. 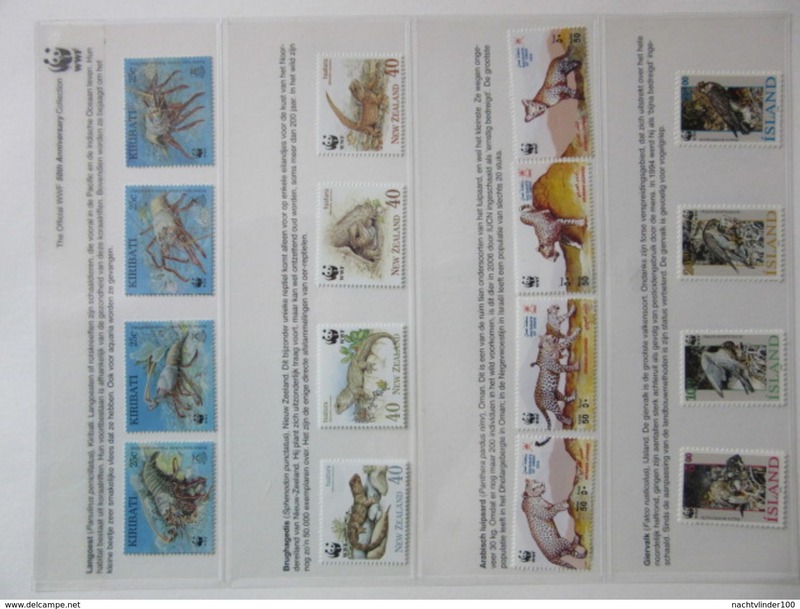 Als u alleen bent geïnteresseerd in de bijzondere uitgiftes voor deze speciale gelegenheid (199 sets/sheets) laat het me alstublieft weten via contacteer verkoper. 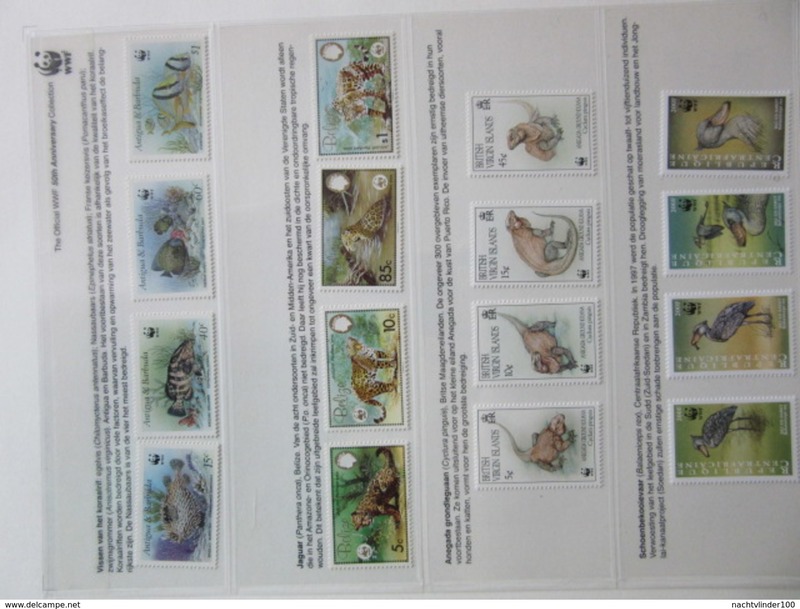 Als de gehele collectie niet wordt verkocht, ben ik wellicht bereid de collectie op te splitsen. 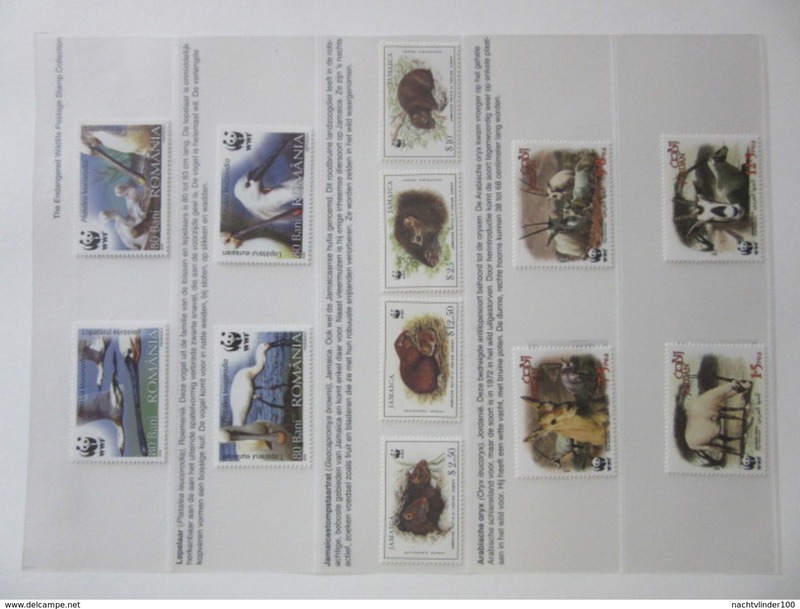 SCHÖNE SAMMLUNG FAUNA WWF UND BEDROHTE TIEREN. 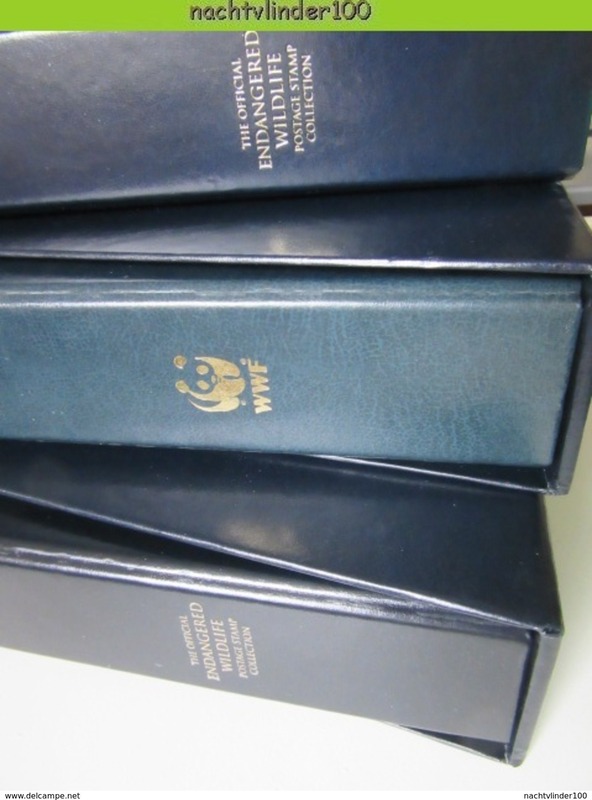 Speziel ausgegeven vor 50 Jahre WWF. 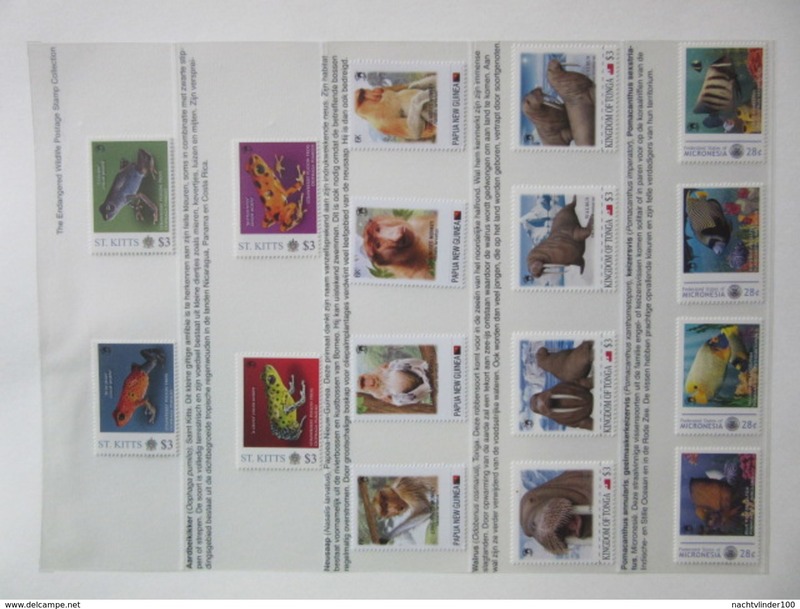 Drei Alben, zwei mit Kassette, die Alben sehen noch gut aus. 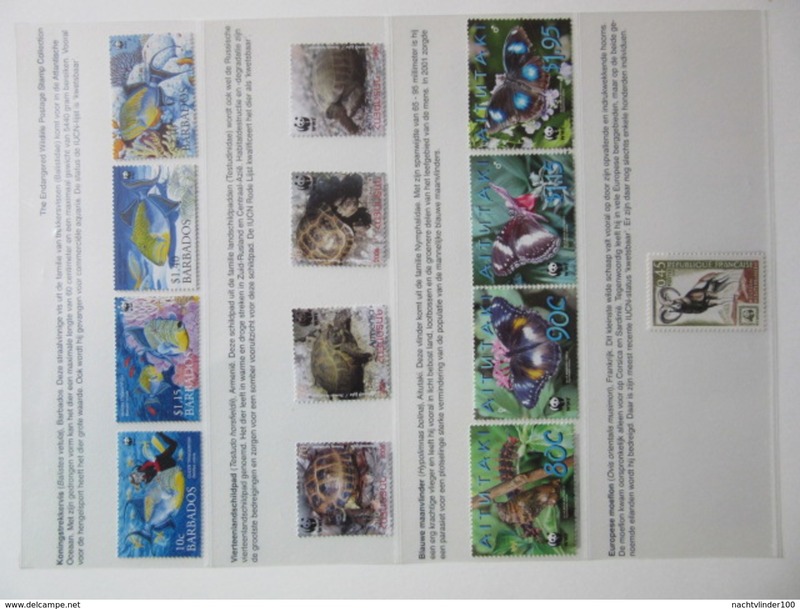 Please read the selling conditions to see to which category your country belongs or ask by contacting me. 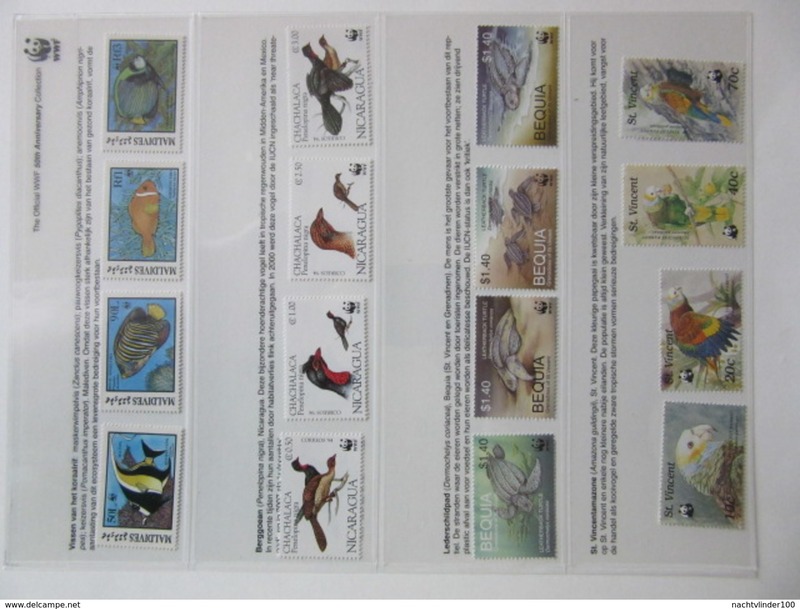 * onder voorbehoud prijswijzigingen PostNL / prices can change if PostNL changes their prices.